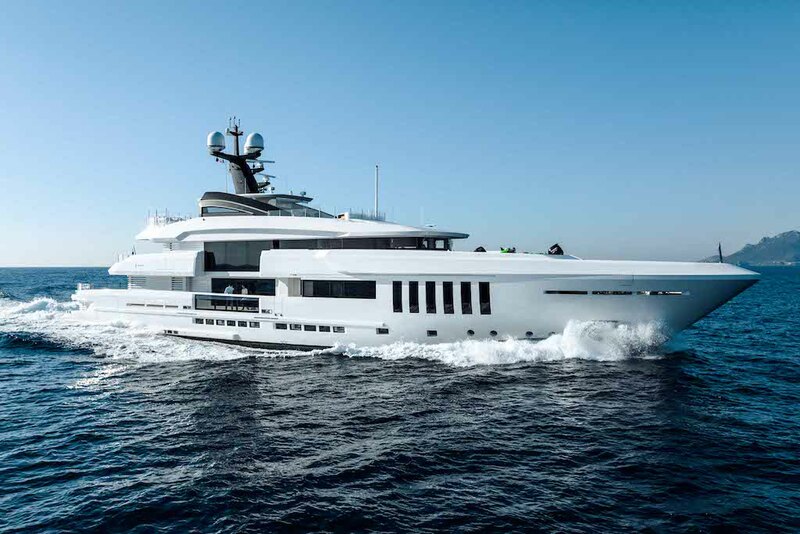 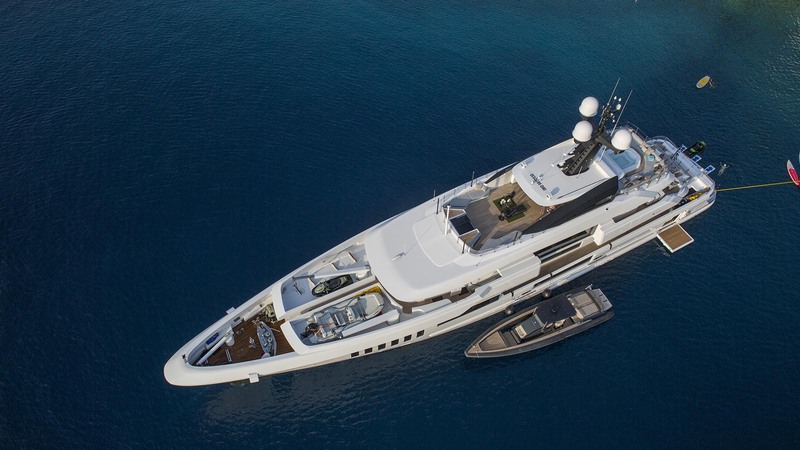 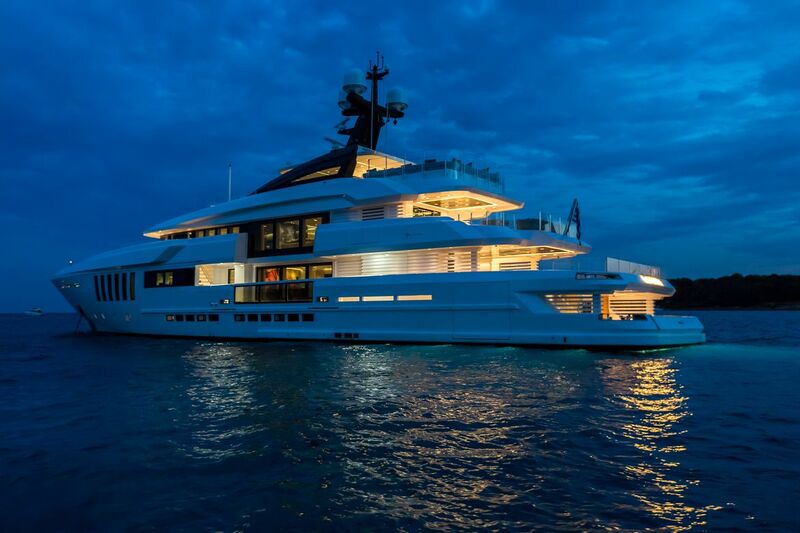 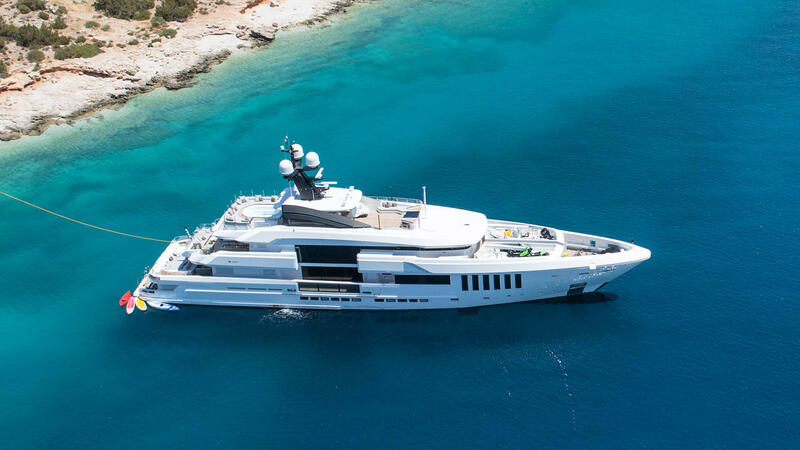 Luxury superyacht OURANOS is a 2016 custom-built Admiral yacht, constructed in Italy and measuring 49.90m (163' 9") in length. 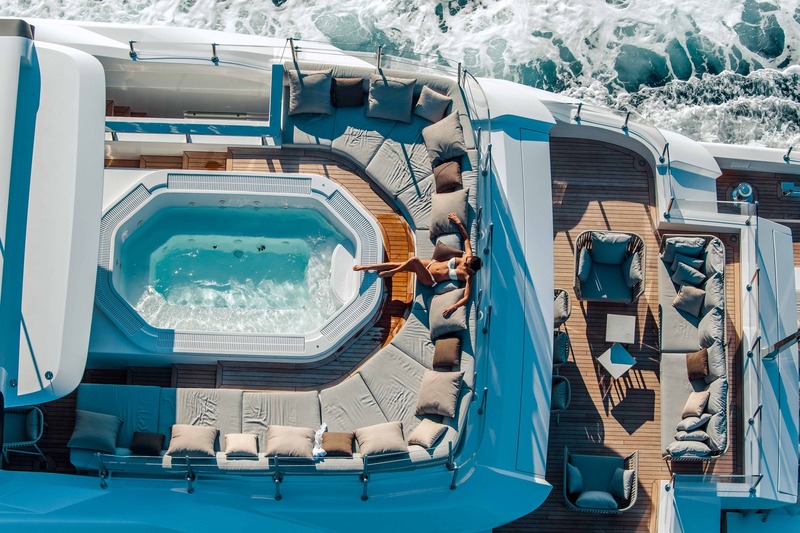 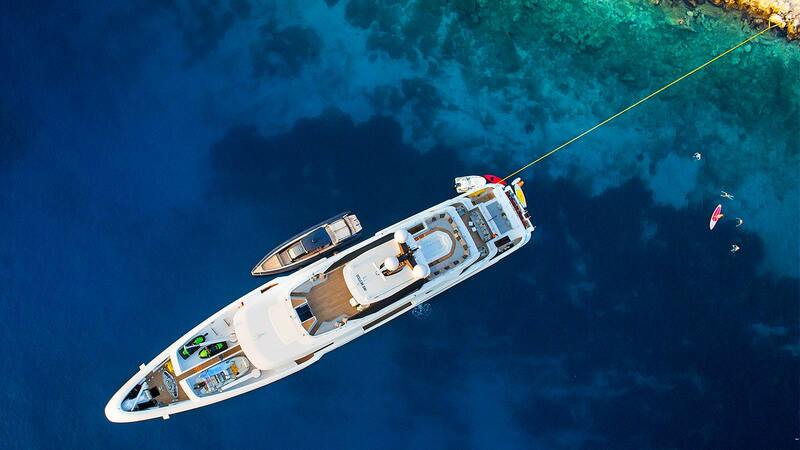 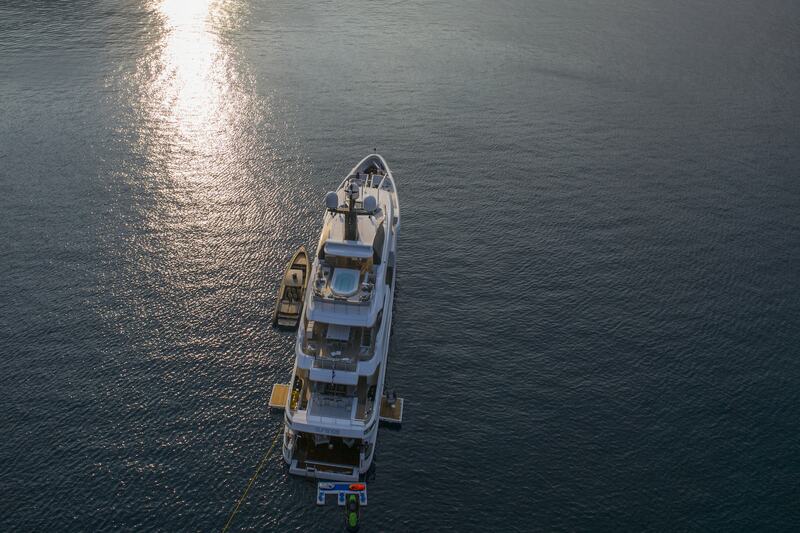 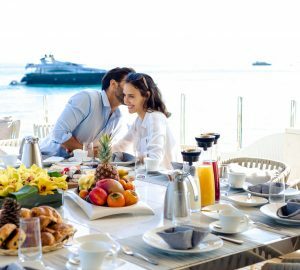 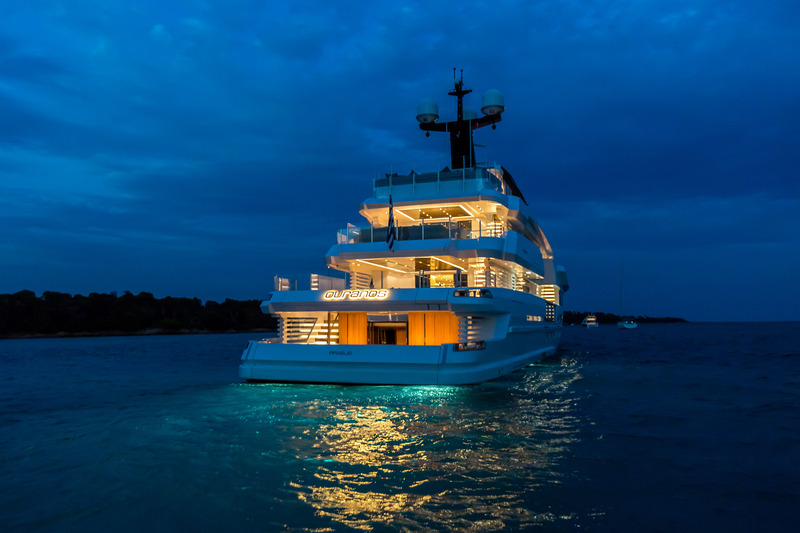 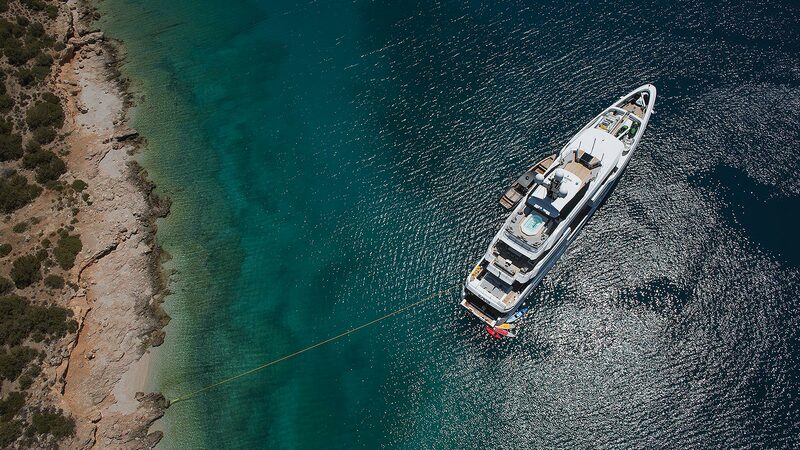 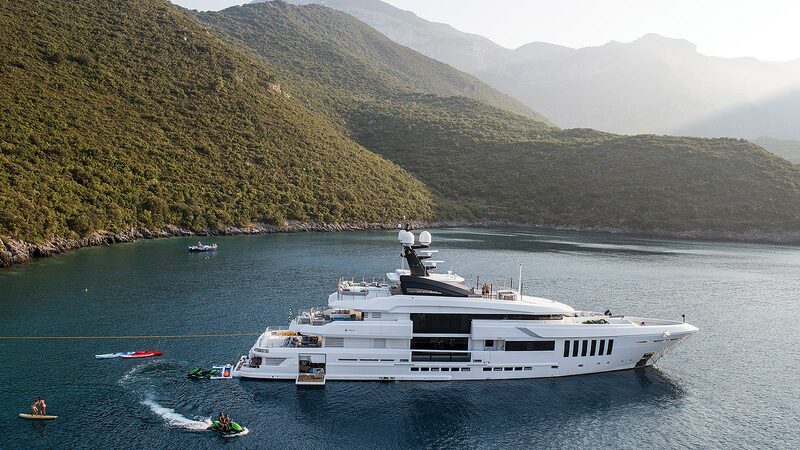 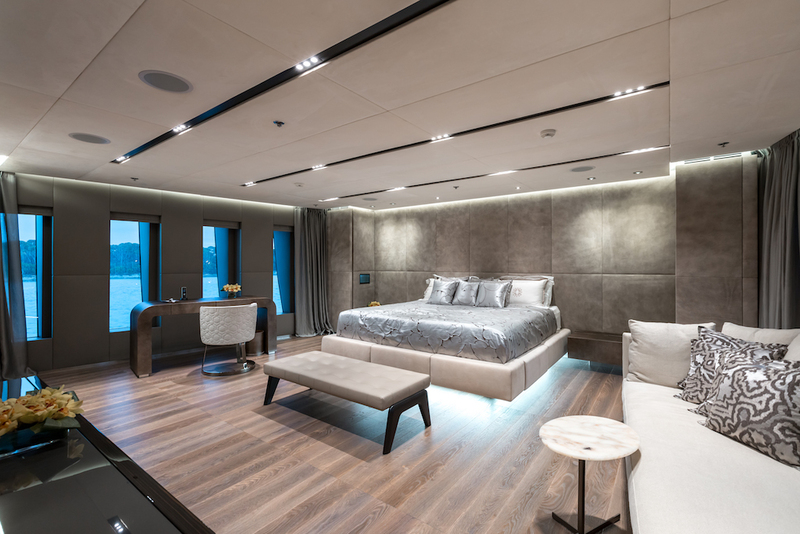 This exceptional charter yacht offers sumptuous accommodation for up to 12 guests in 6 well-appointed and stylish cabins with interior design by Gianmarco Campanino. 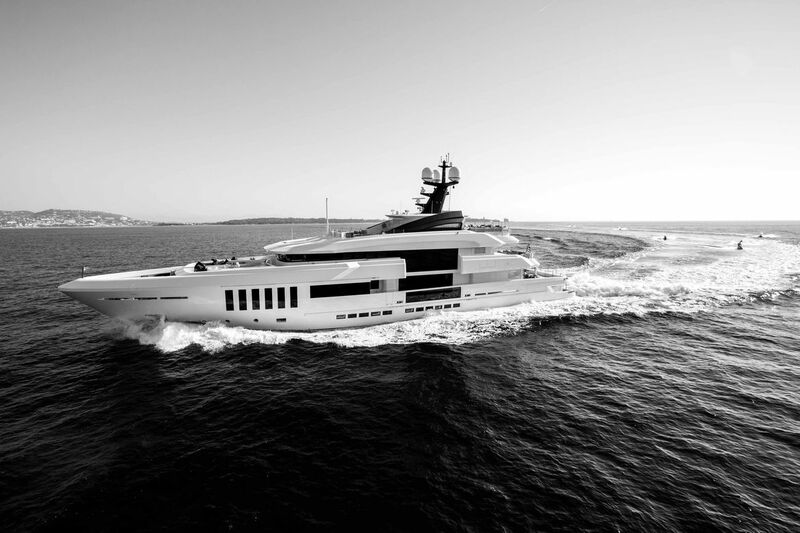 She has a professional and skilled crew of 12. 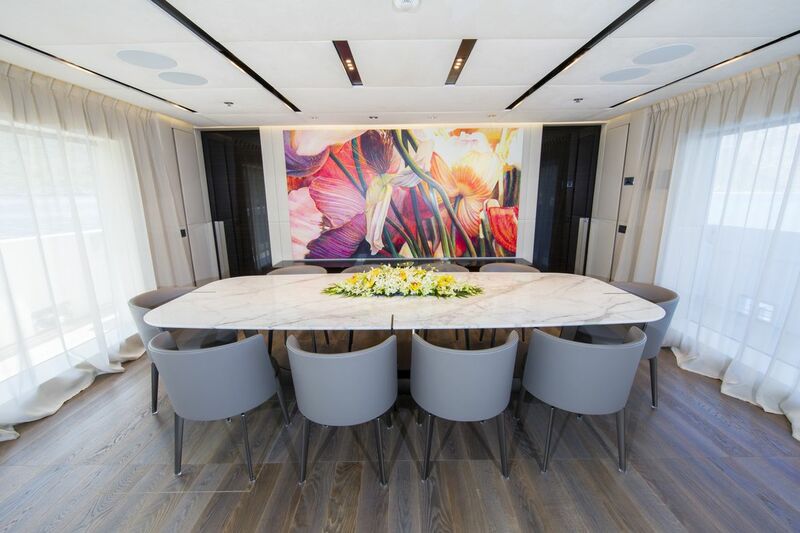 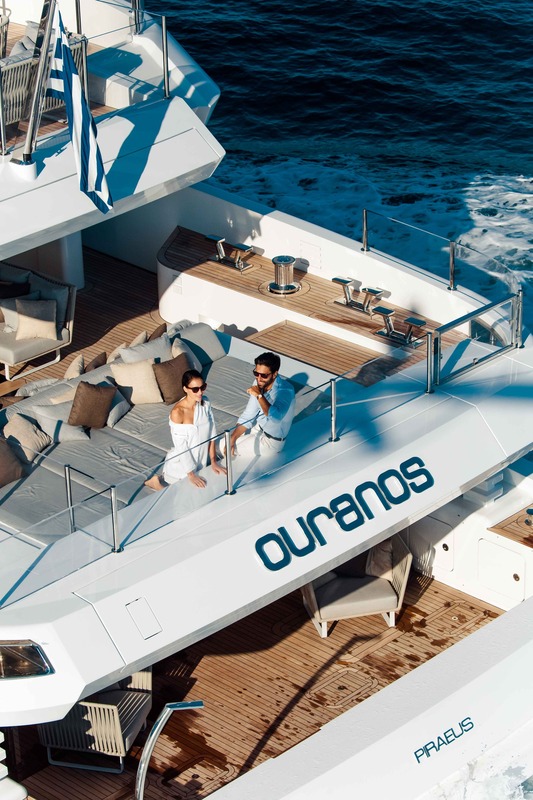 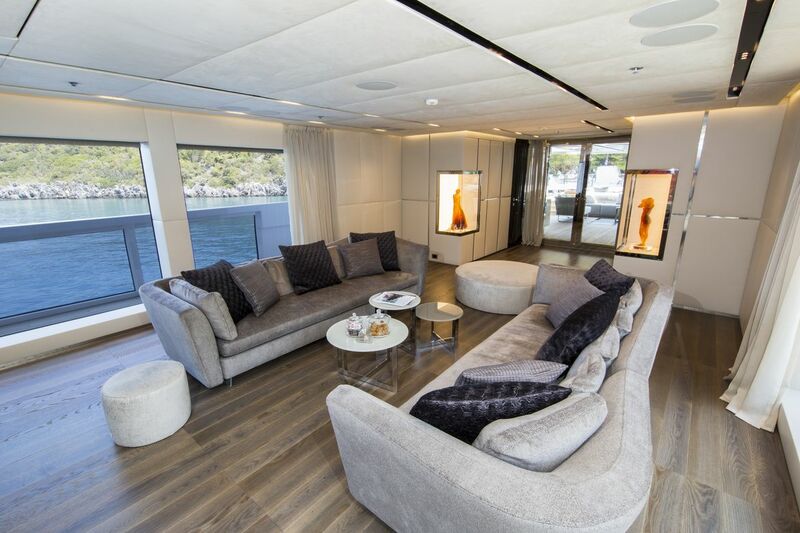 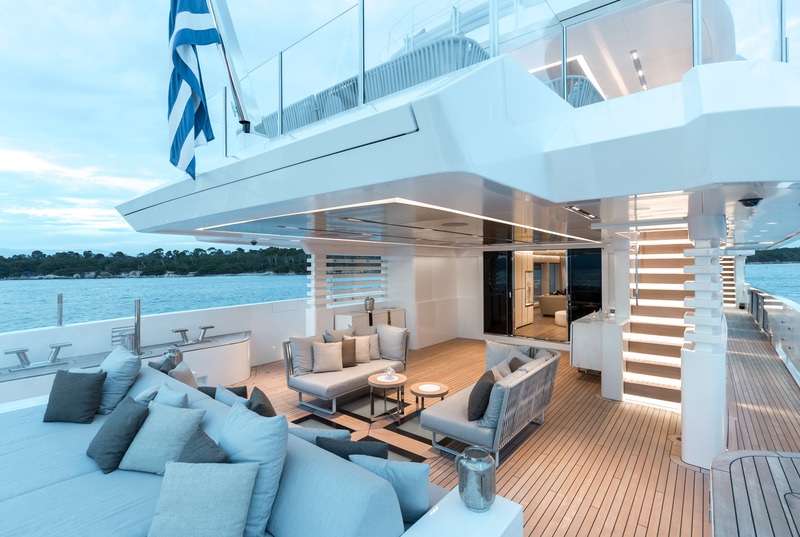 OURANOS offers a contemporary elegant interior décor by Admiral Yachts and features a minimalist ambience of crisp white panels, neutral plush soft furnishings and bespoke finishes throughout. 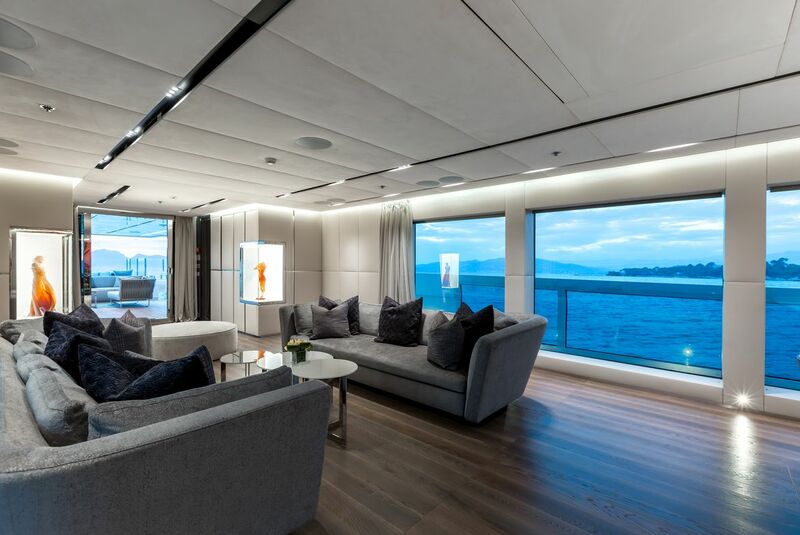 The main deck boasts the salon and formal dining, set in an open plan and surrounded by ample panoramic windows for optimum natural light. 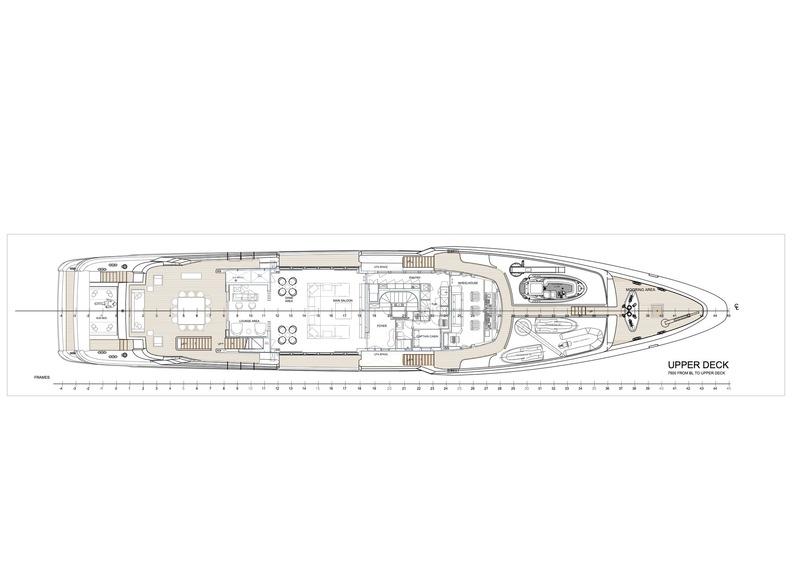 A foyer to starboard leads forward to a full beam master cabin and private study. 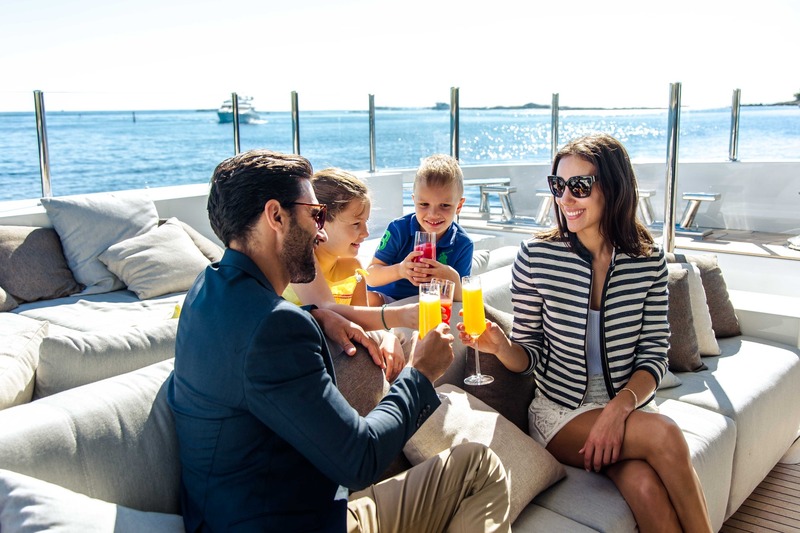 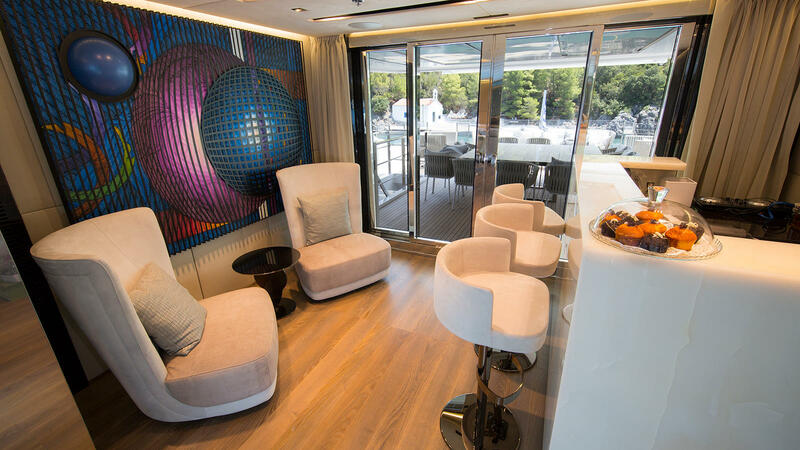 On the upper deck, a more casual approach offers a comfortable seating space, TV entertainment and complete wet bar aft, perfect for socializing. 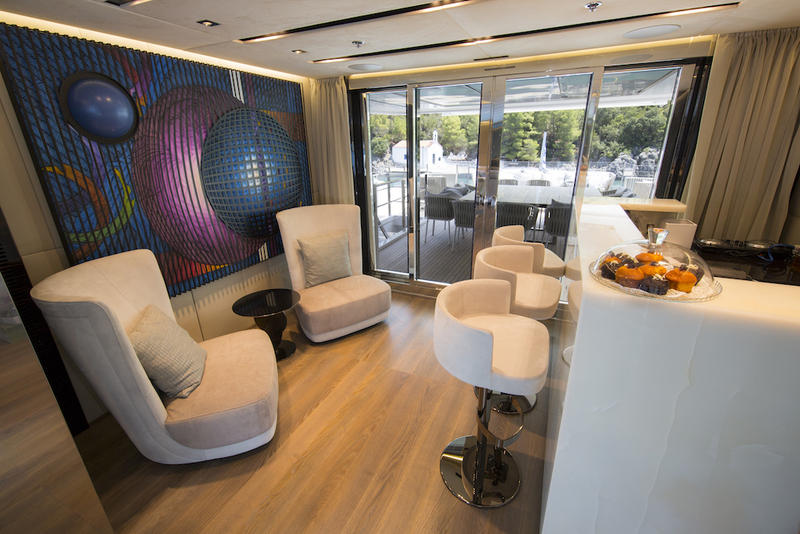 Further guest accommodation is on the lower deck, in 3 double cabins and 2 twin cabins, all with en-suite facilities. 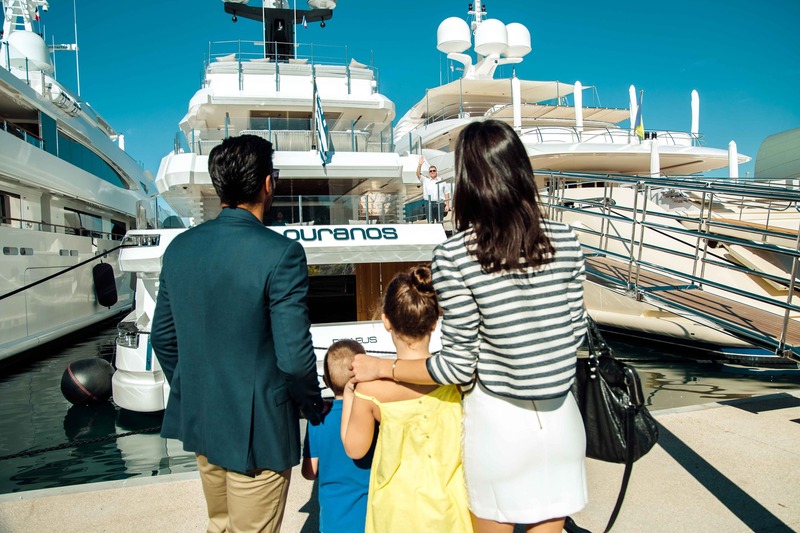 Exterior styling is by Unielle Yacht Design, featuring plenty of spaces to enjoy, on 3 capacious levels. 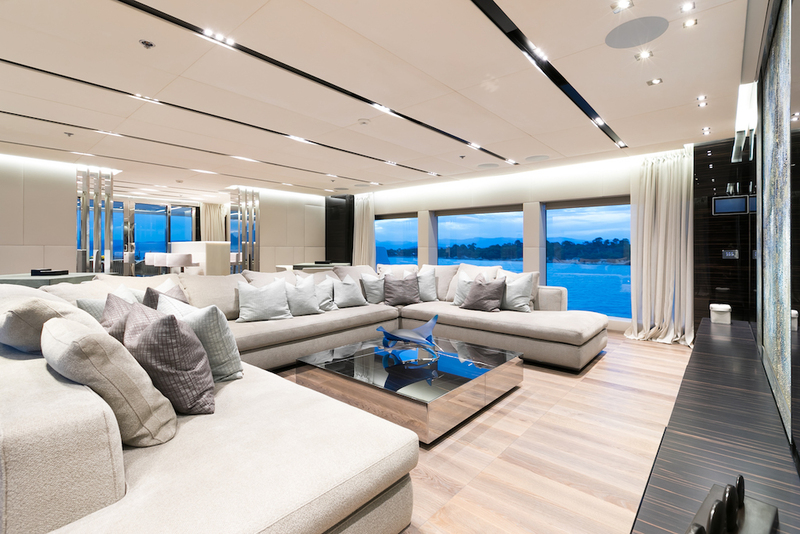 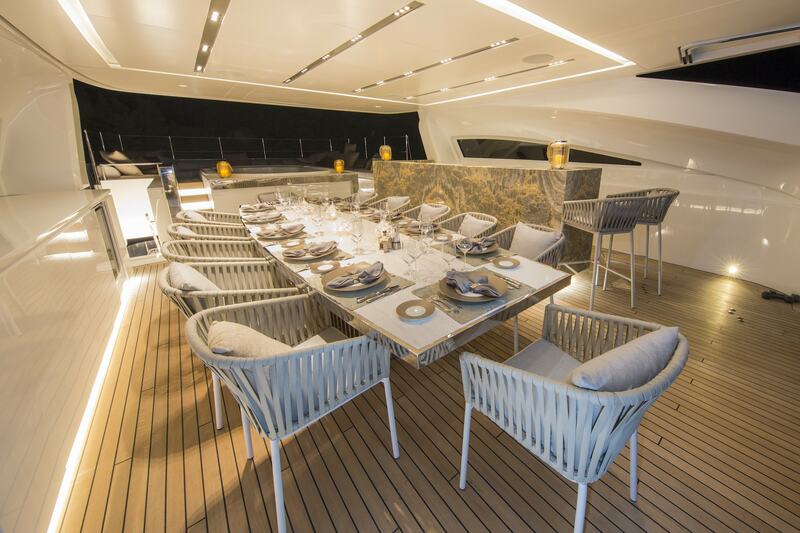 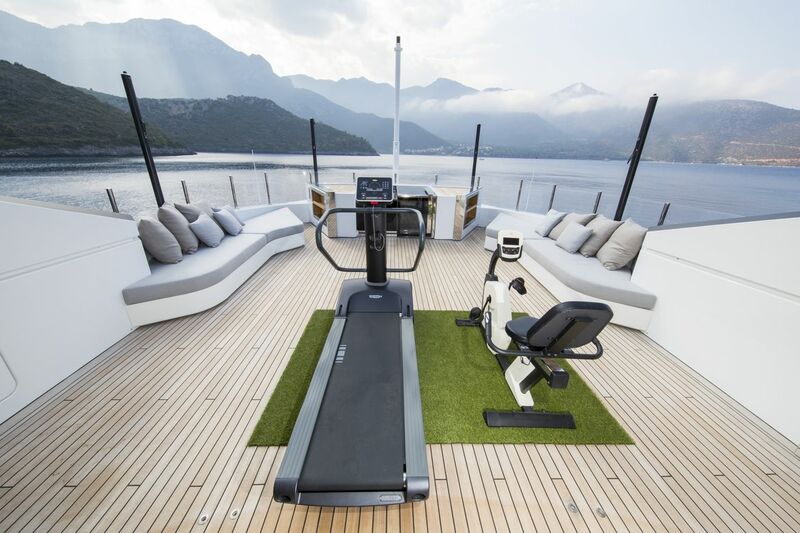 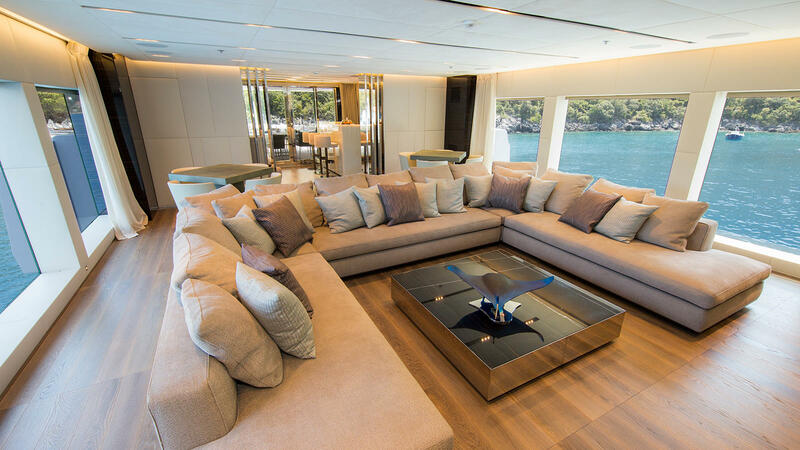 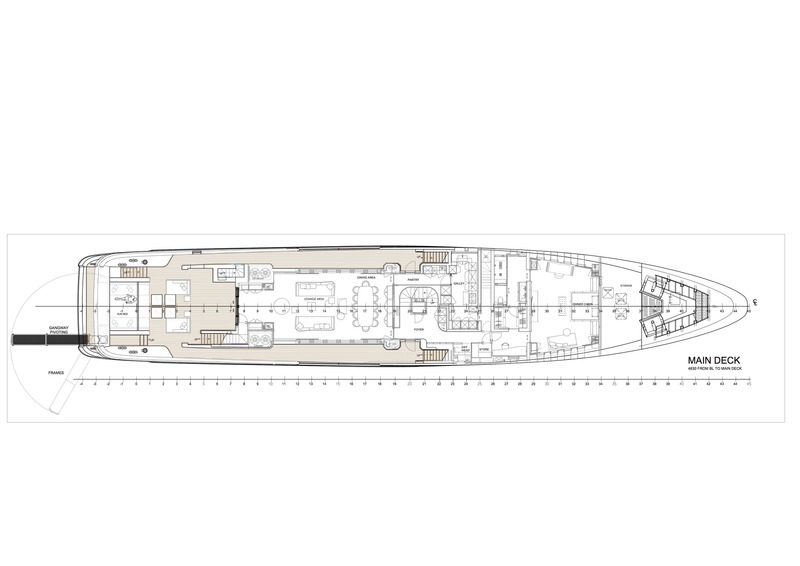 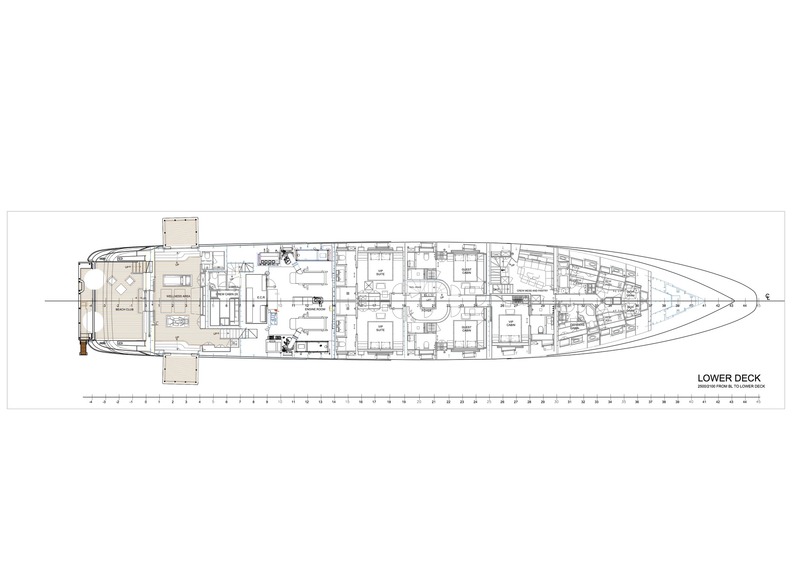 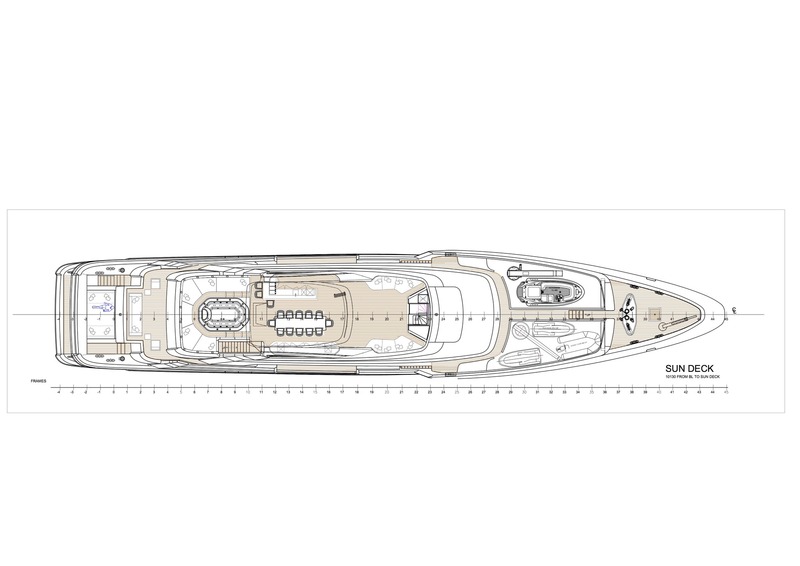 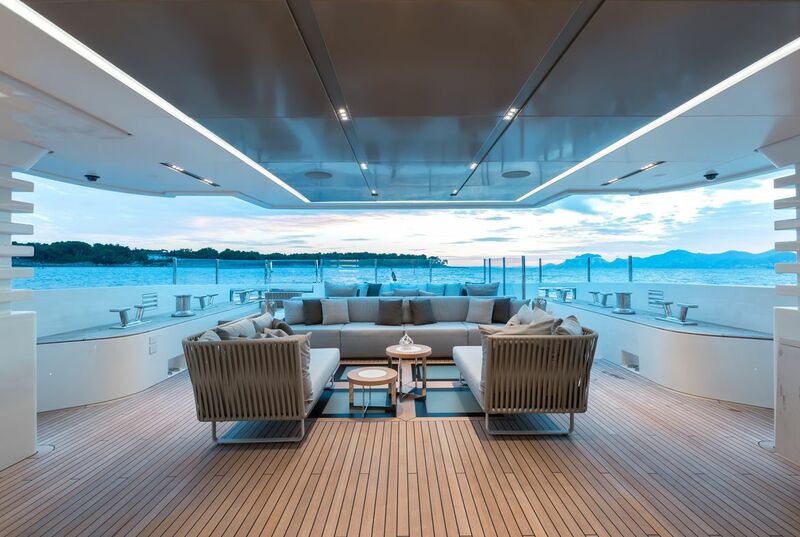 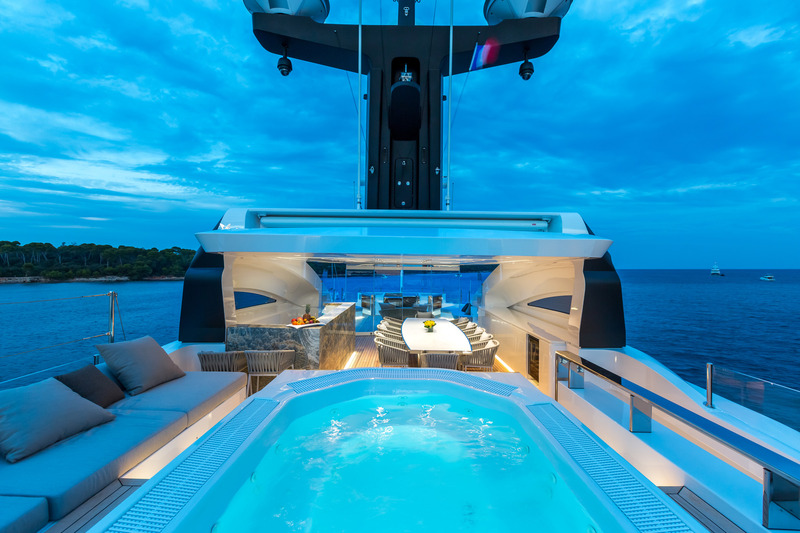 The main deck aft offers a massive sun pad, partial shade and direct access to the main salon. 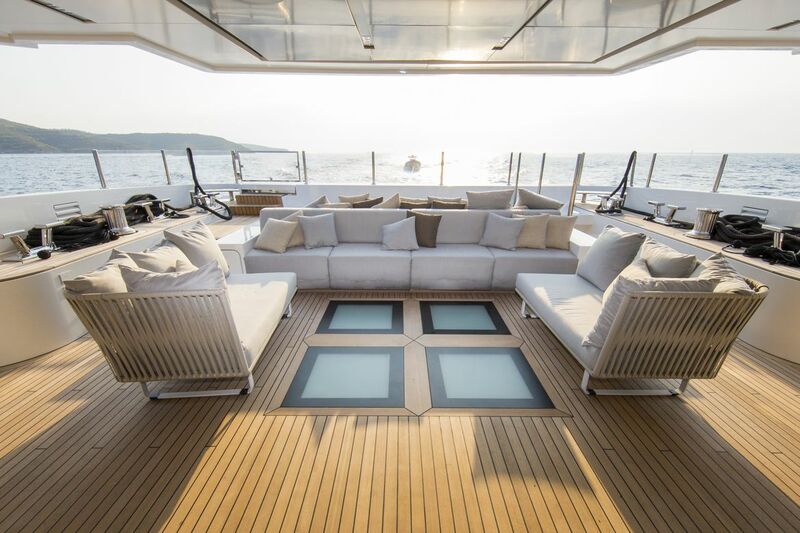 On the upper bridge deck aft has a generous seating area and coffee tables, perfect for an evening aperitif. 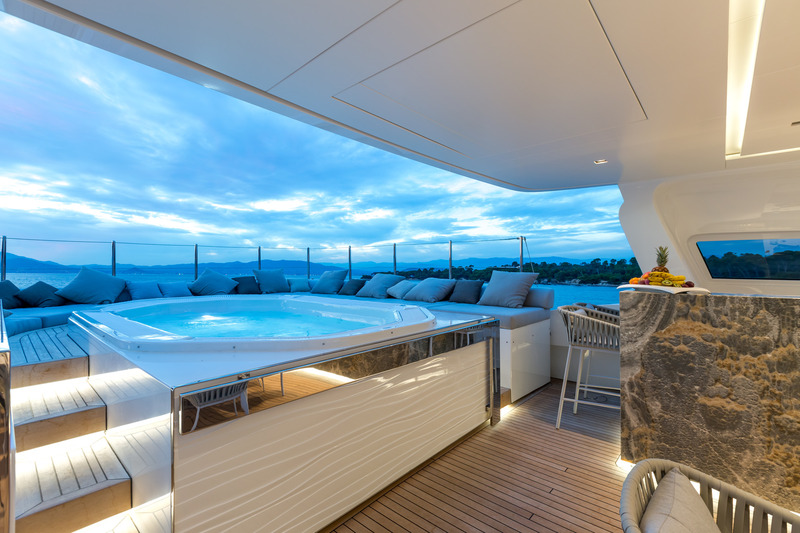 The top deck features a fabulous sundeck, complete with alfresco dining, wet bar, Jacuzzi tub, chaise lounges, a social seating area and partial shade. 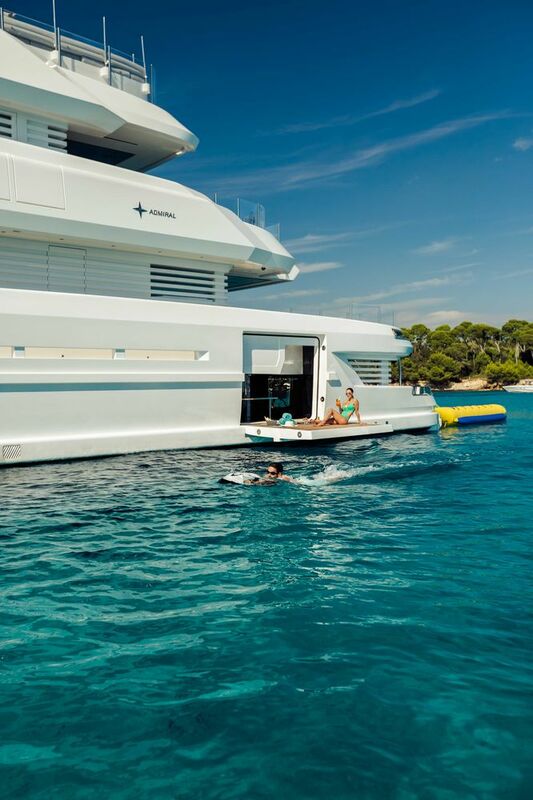 For the water enthusiasts, a beach club on the transom will be sure to please and enable endless water toy fun. 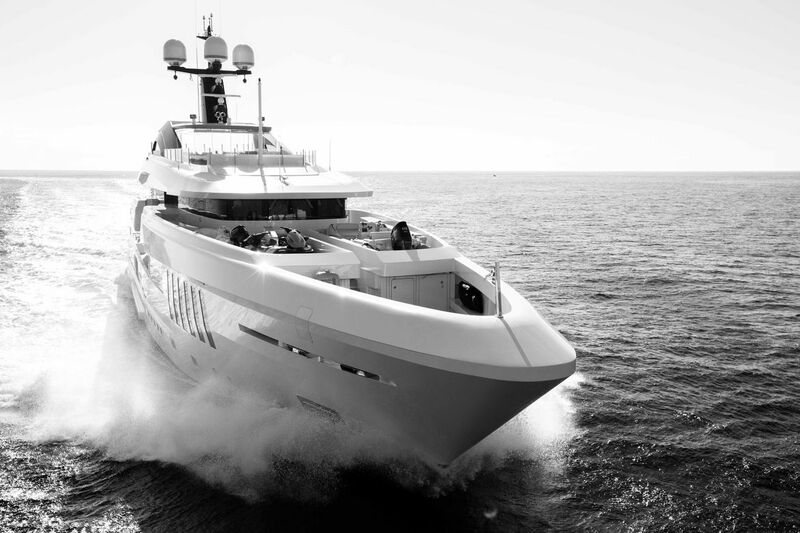 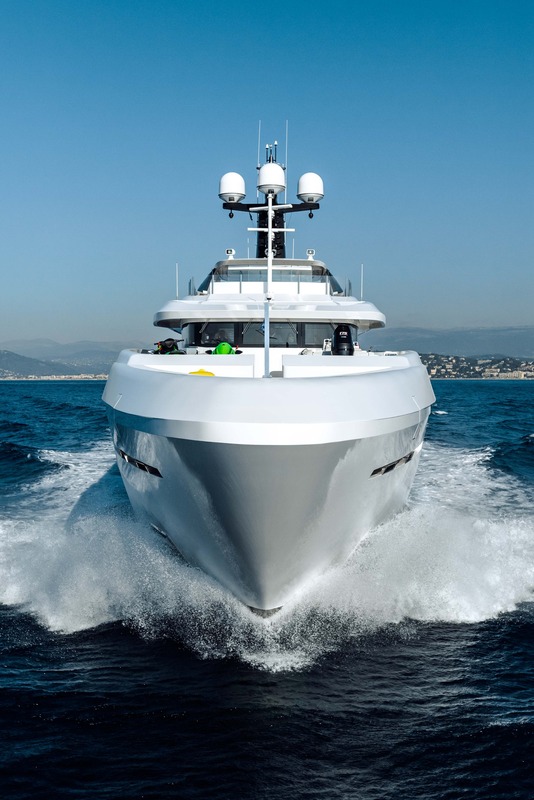 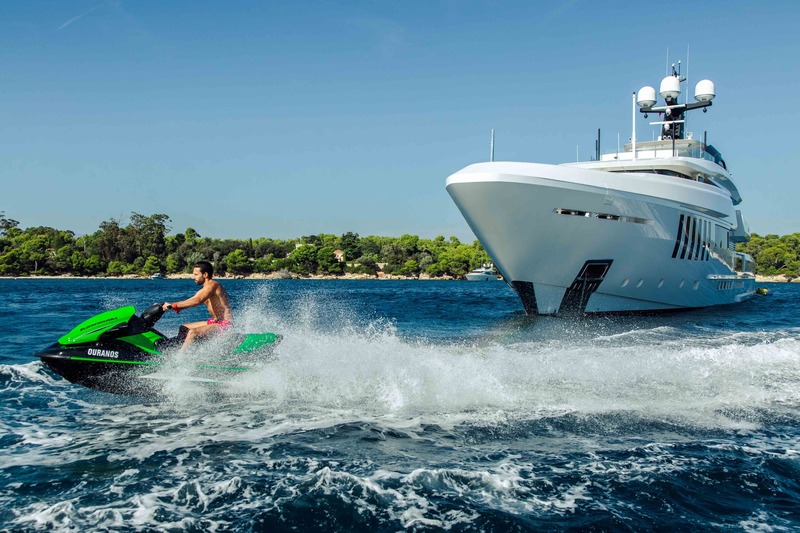 Powered by 2 x MAN 1400hp engines, she reaches speeds of up to 15 knots. 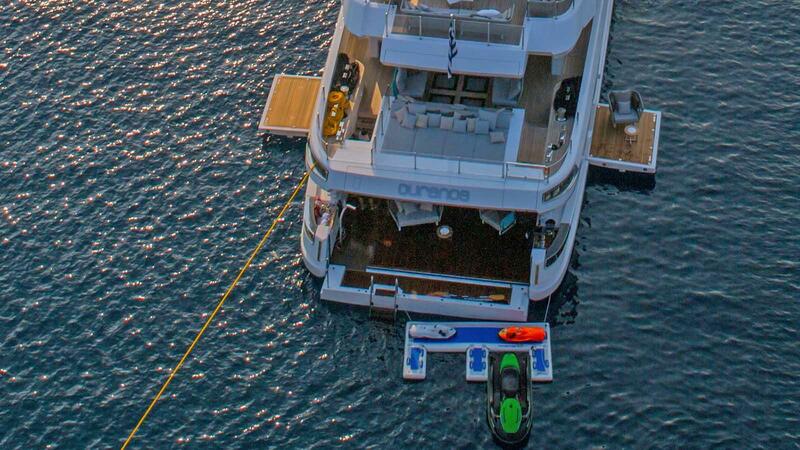 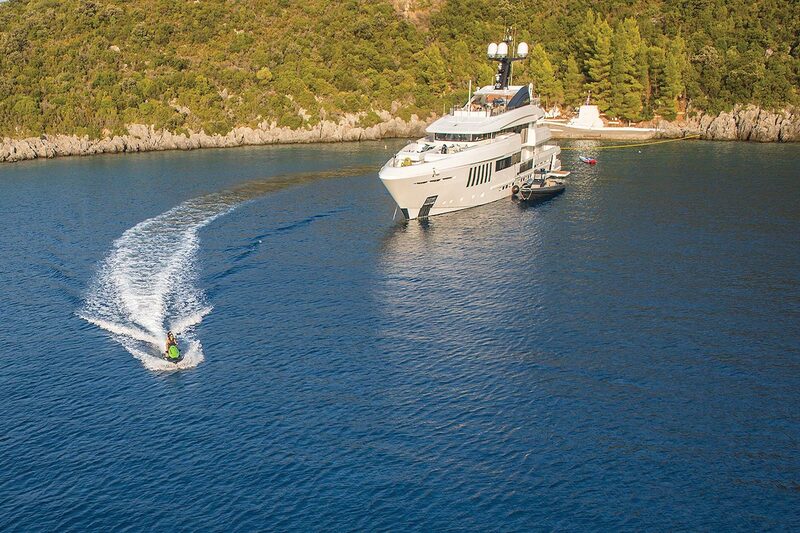 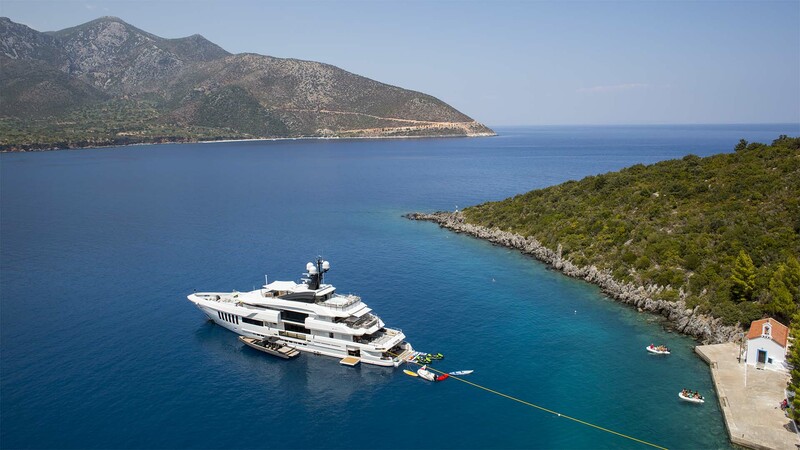 At anchor and underway, stabilizers ensure optimum comfort at all times. 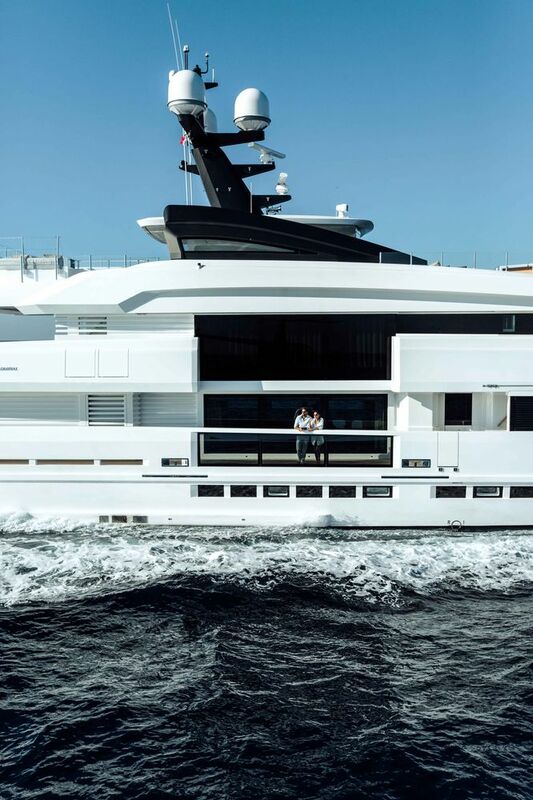 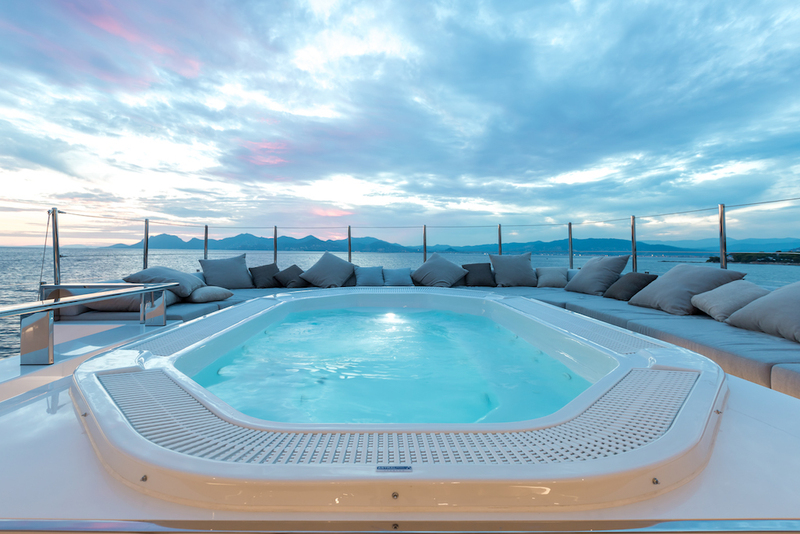 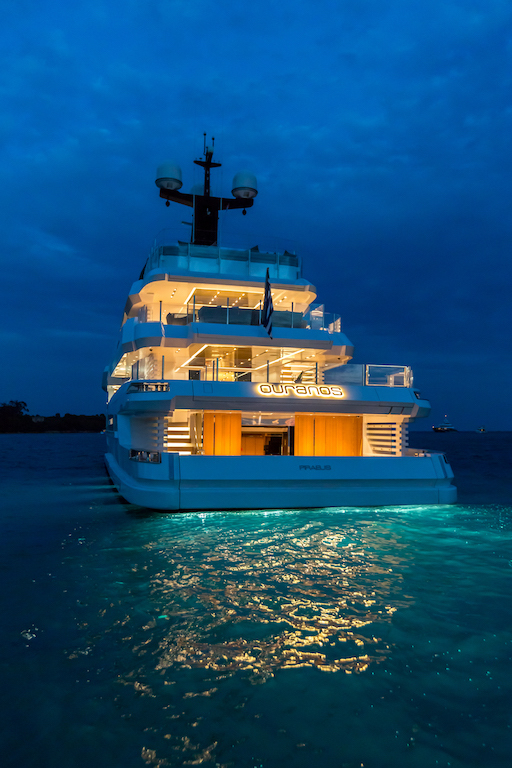 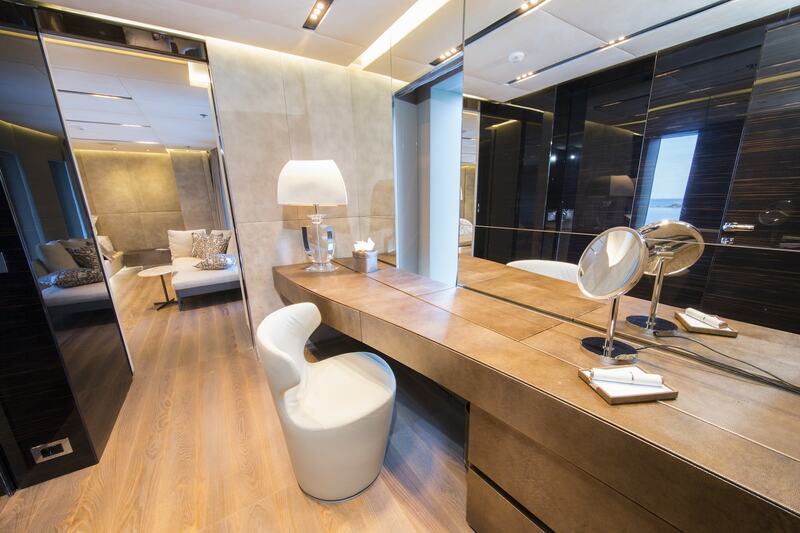 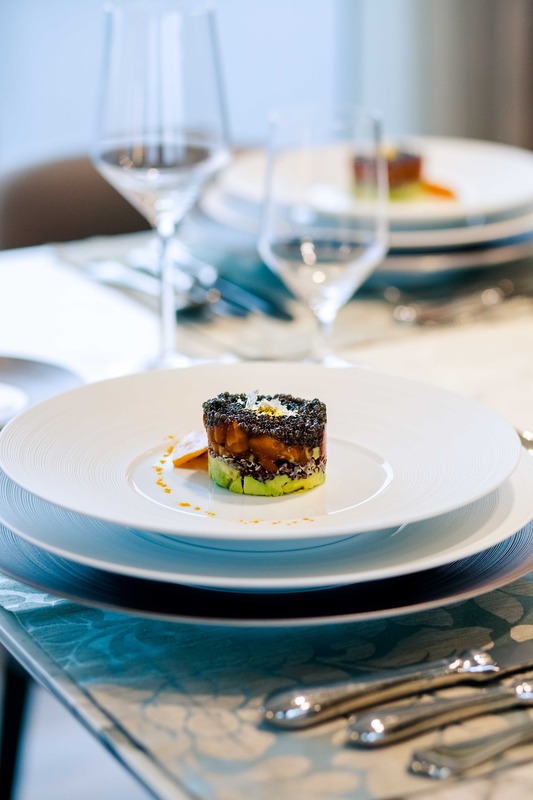 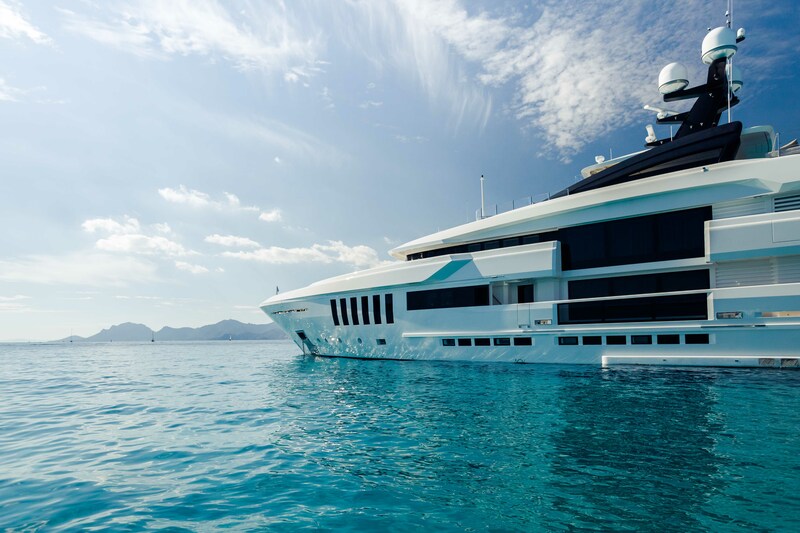 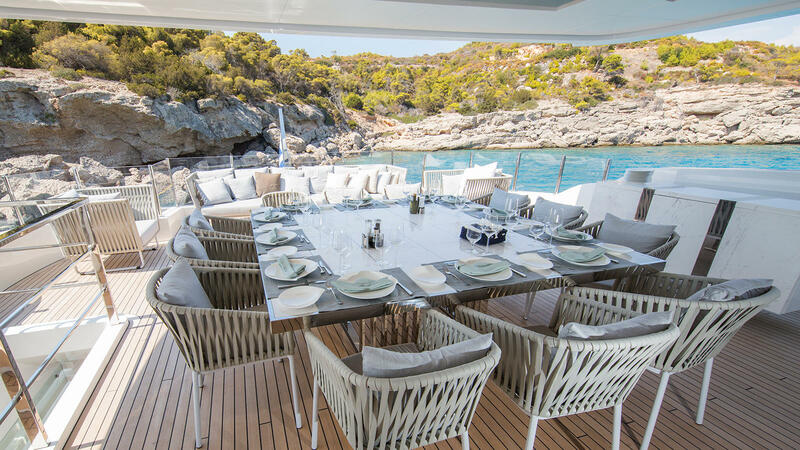 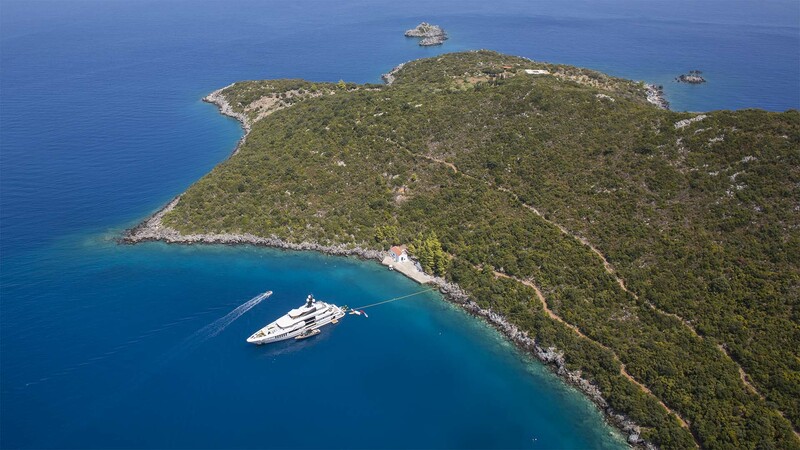 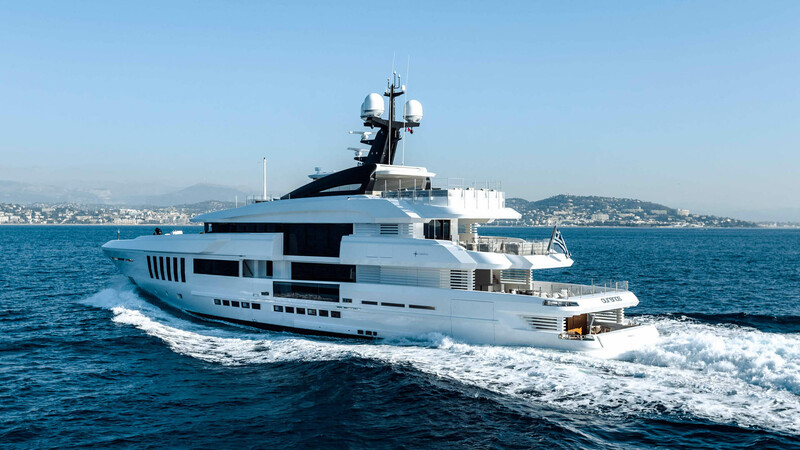 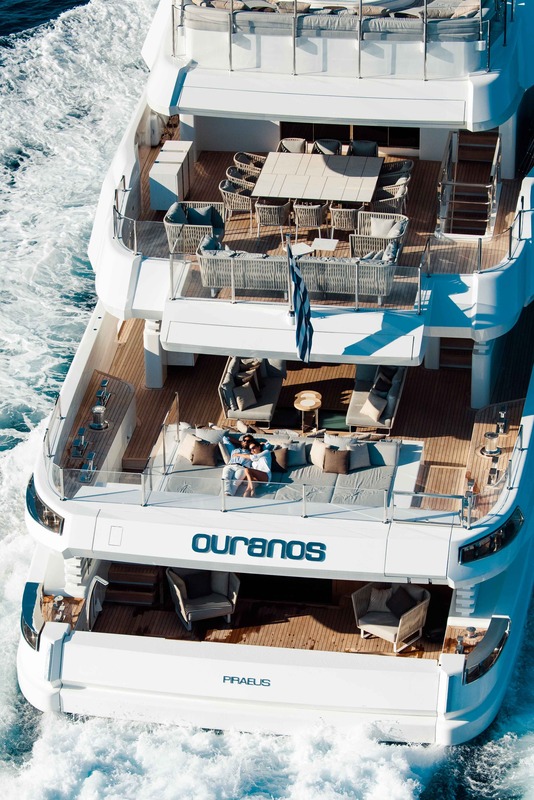 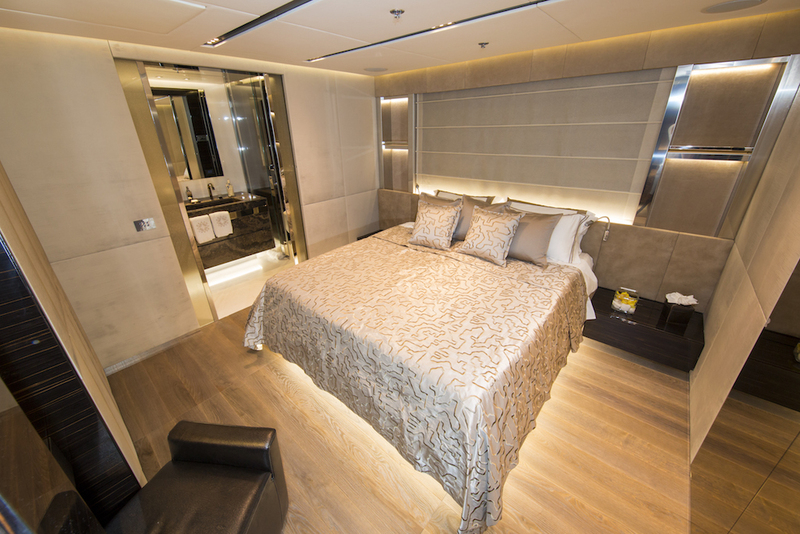 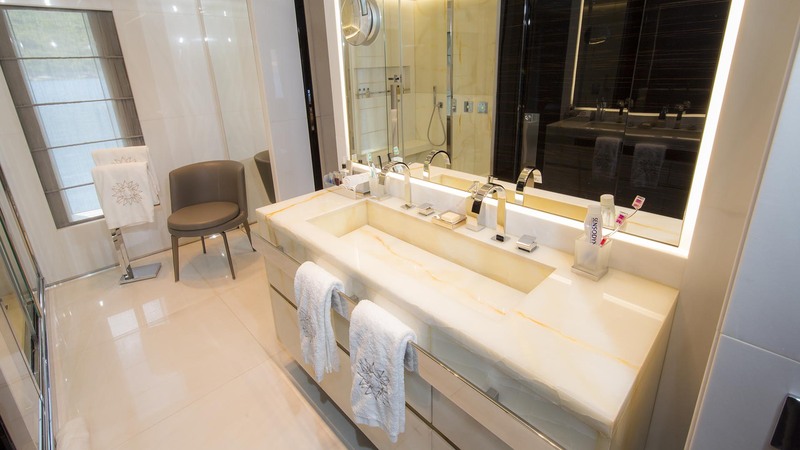 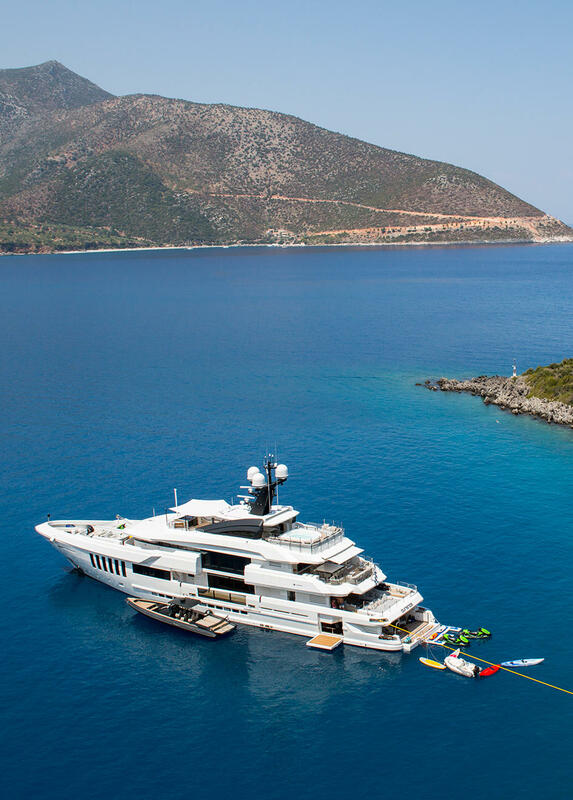 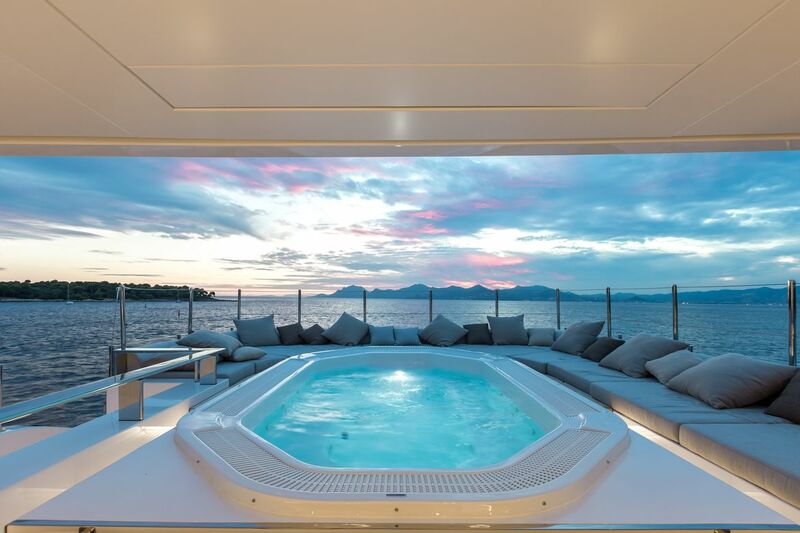 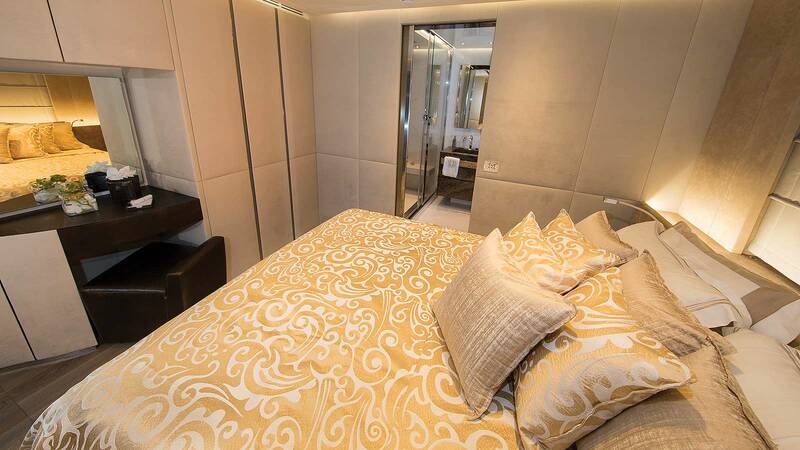 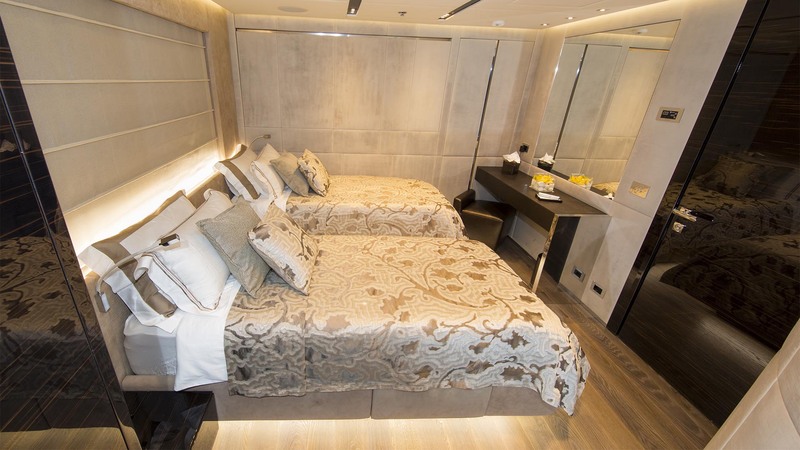 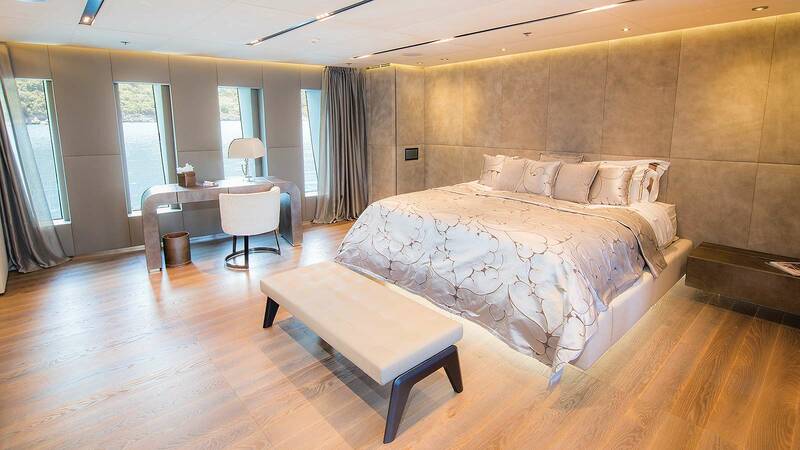 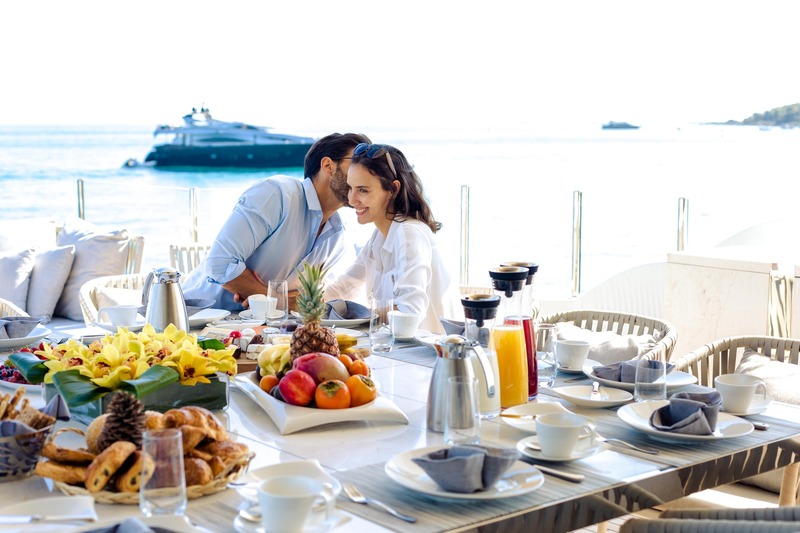 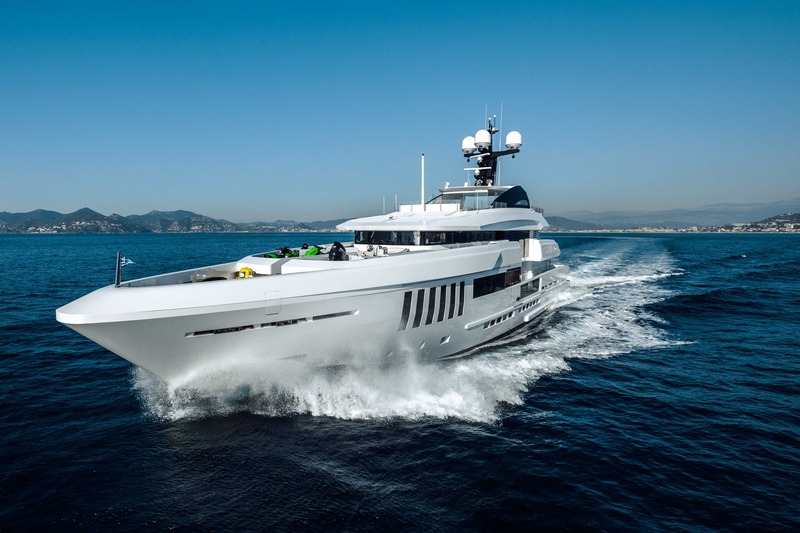 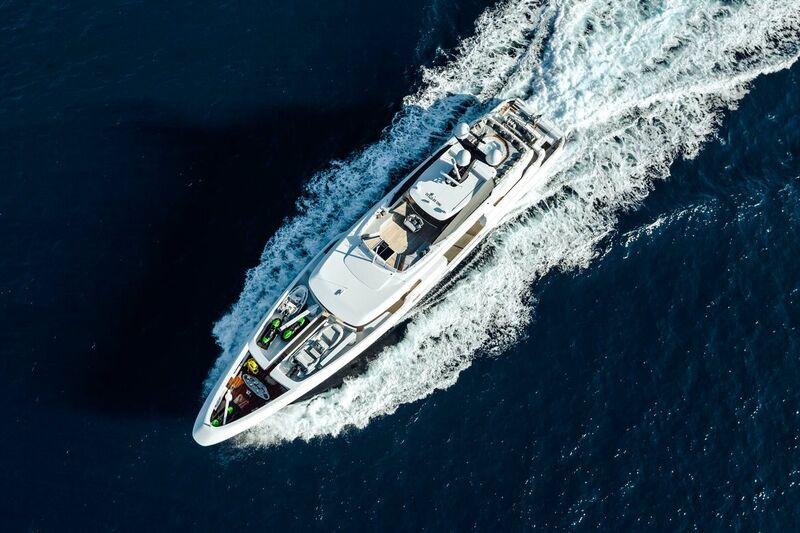 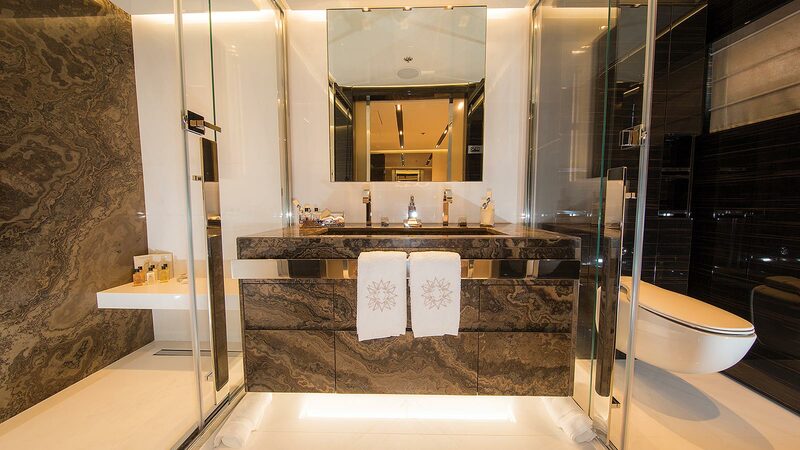 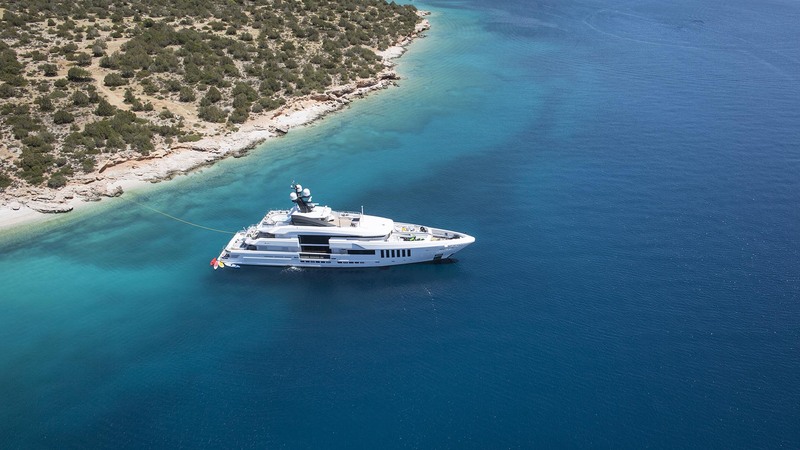 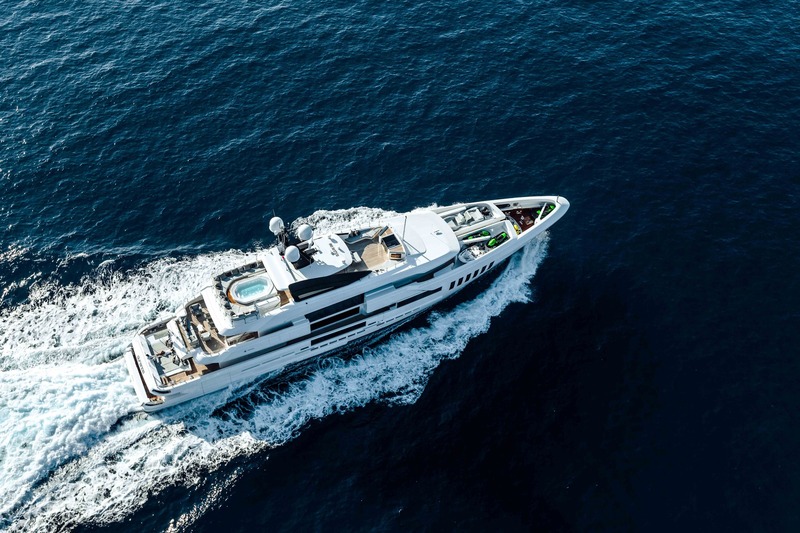 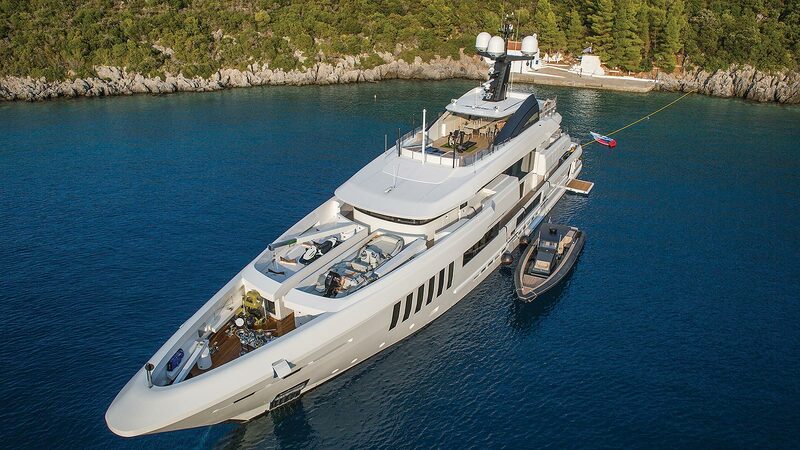 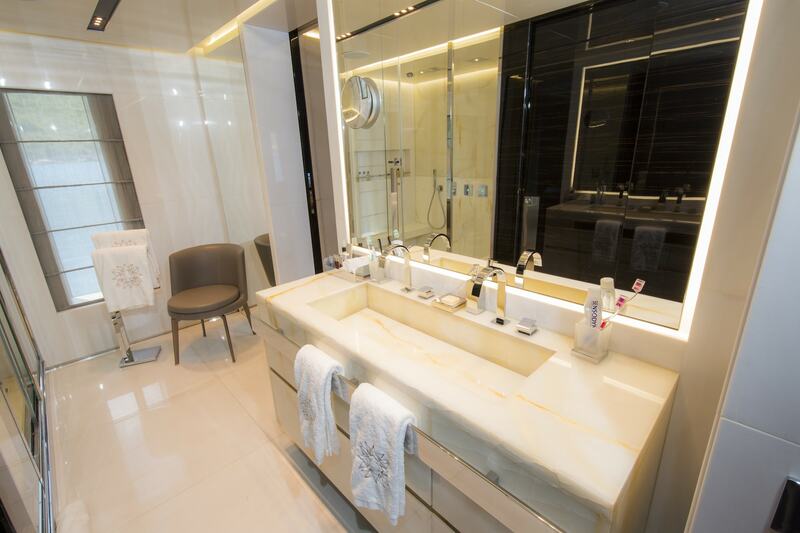 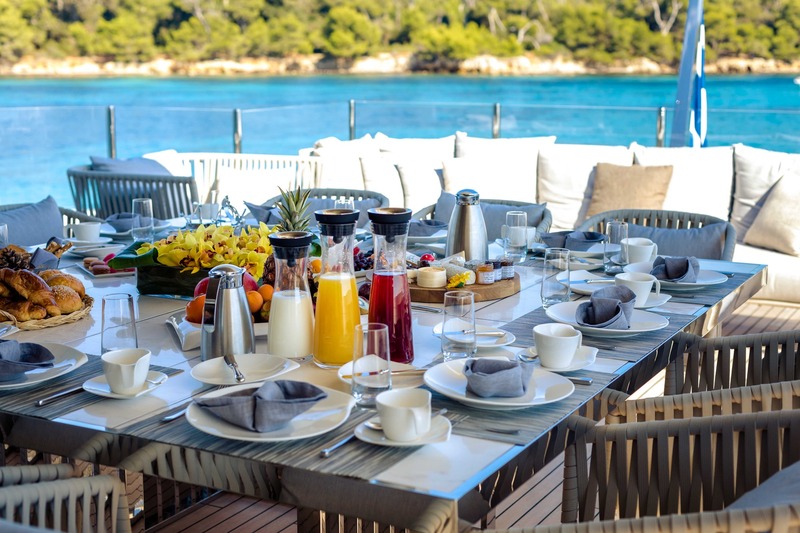 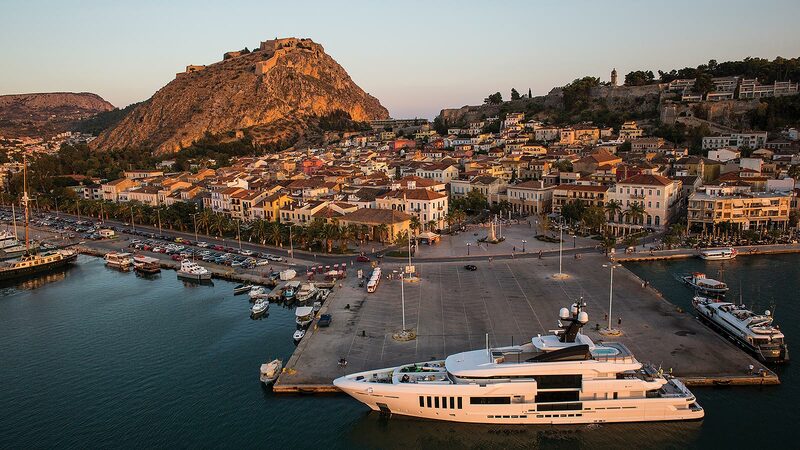 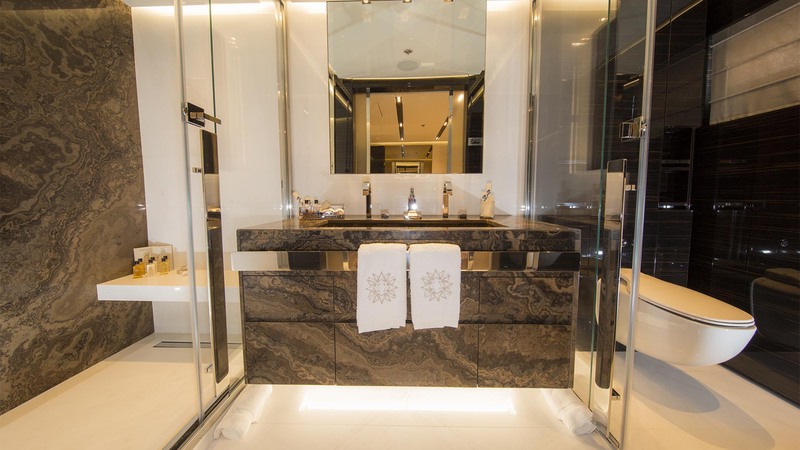 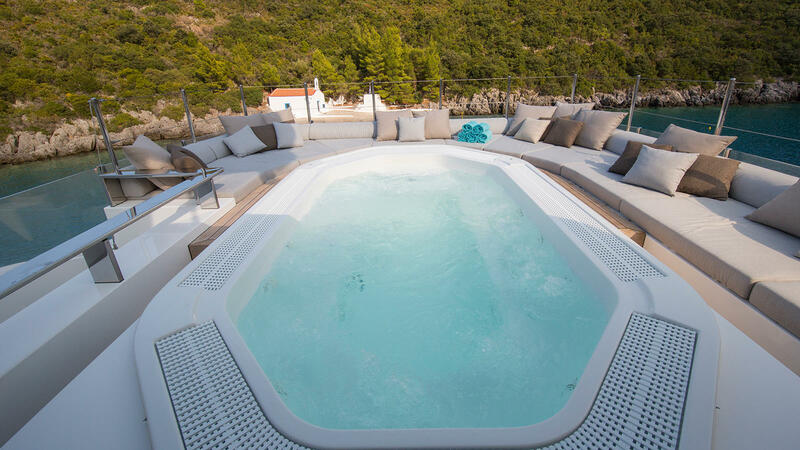 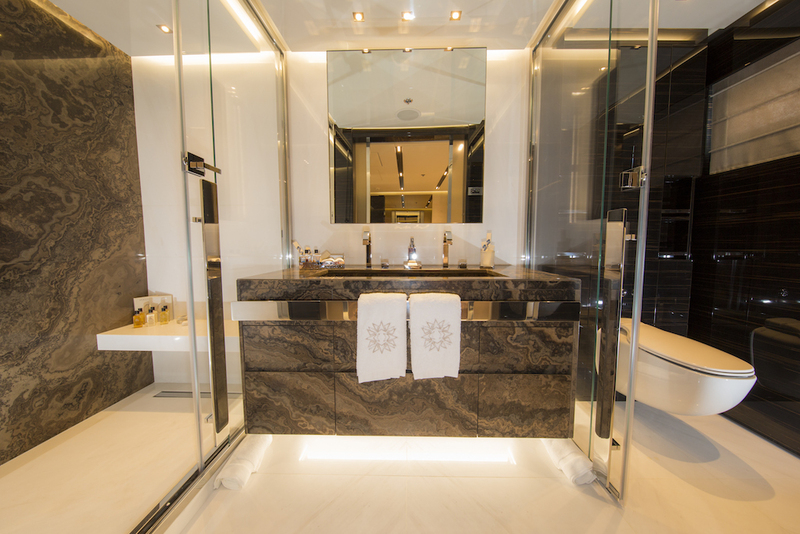 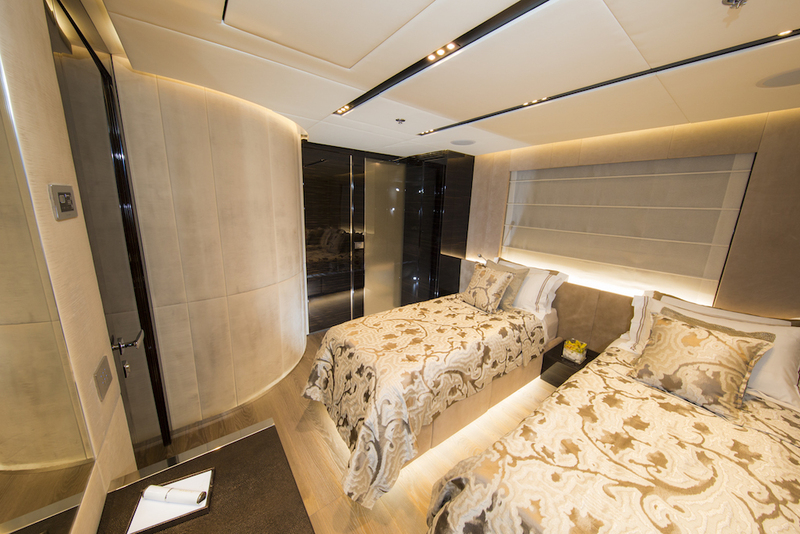 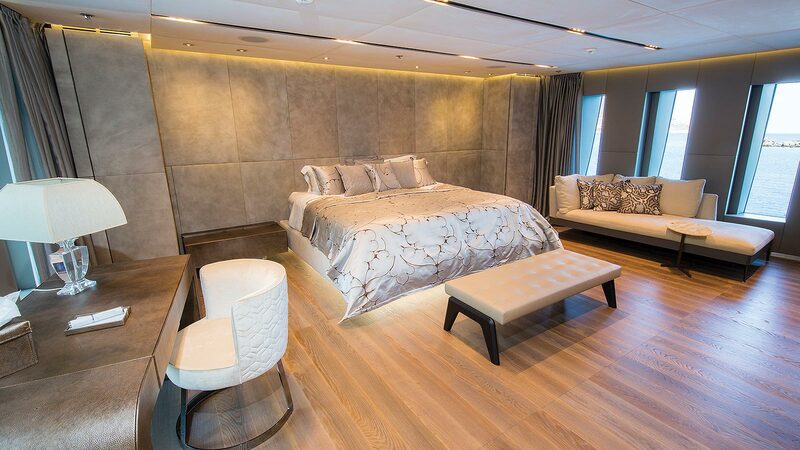 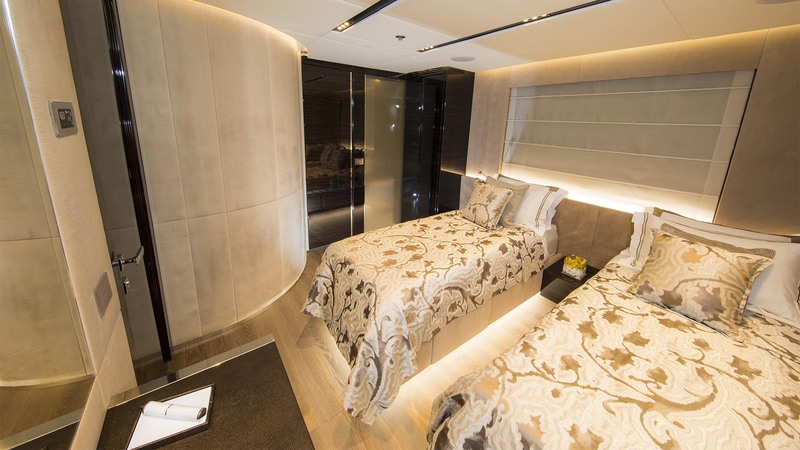 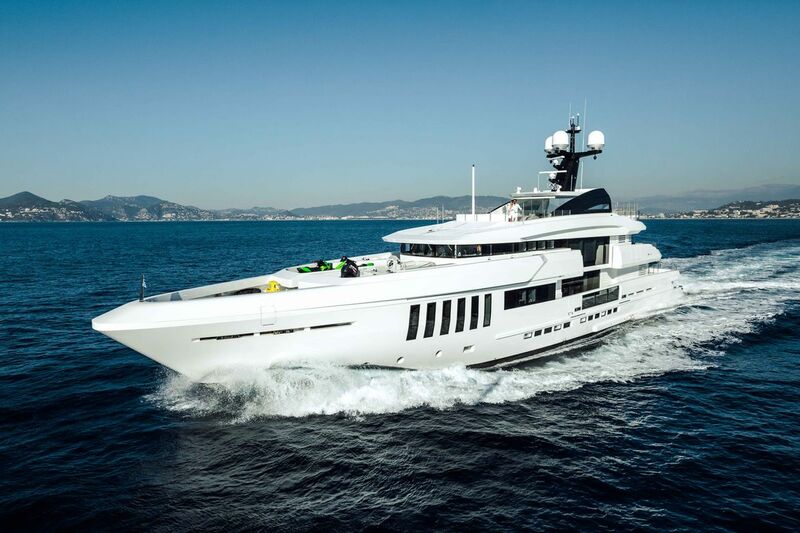 OURANOS by Admiral accommodates up to 12 guests in 6 en-suite cabins. 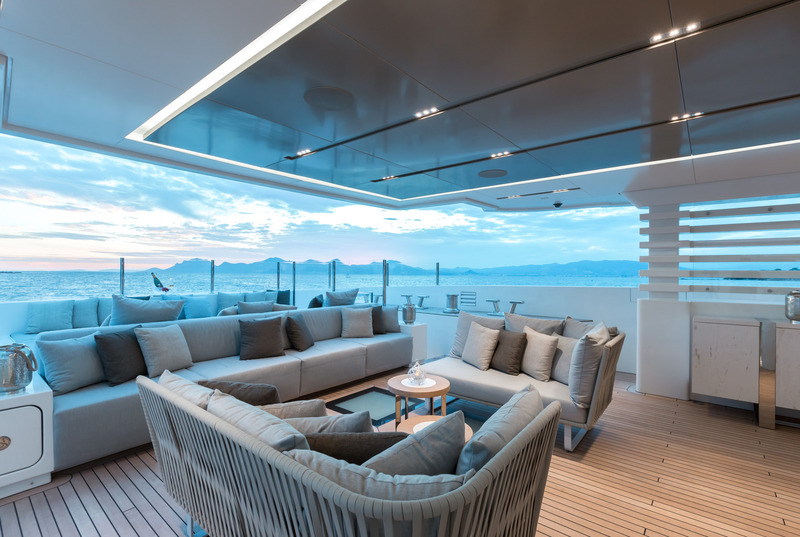 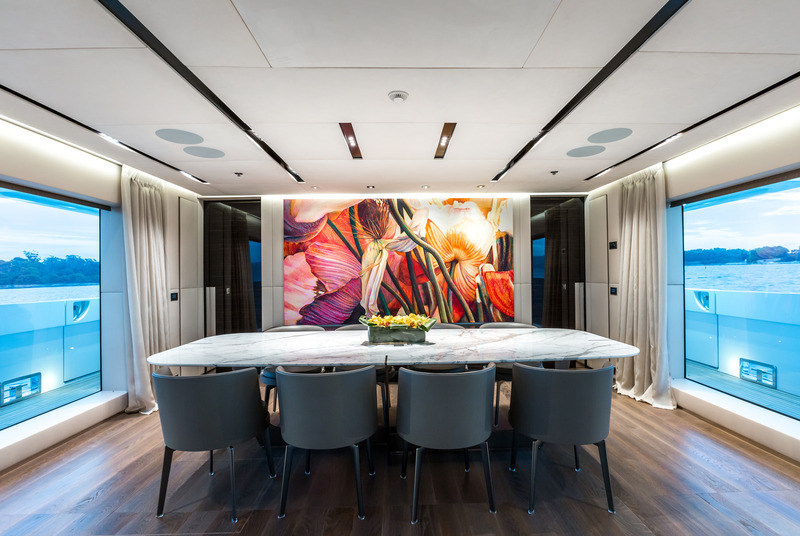 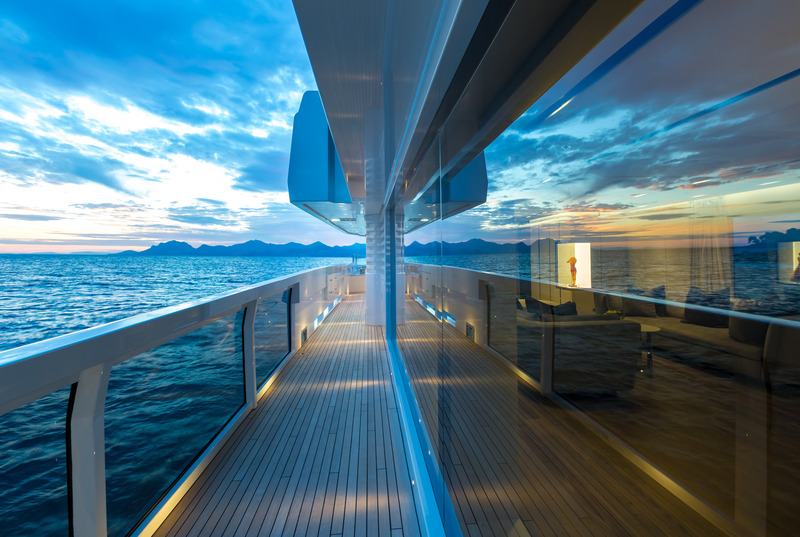 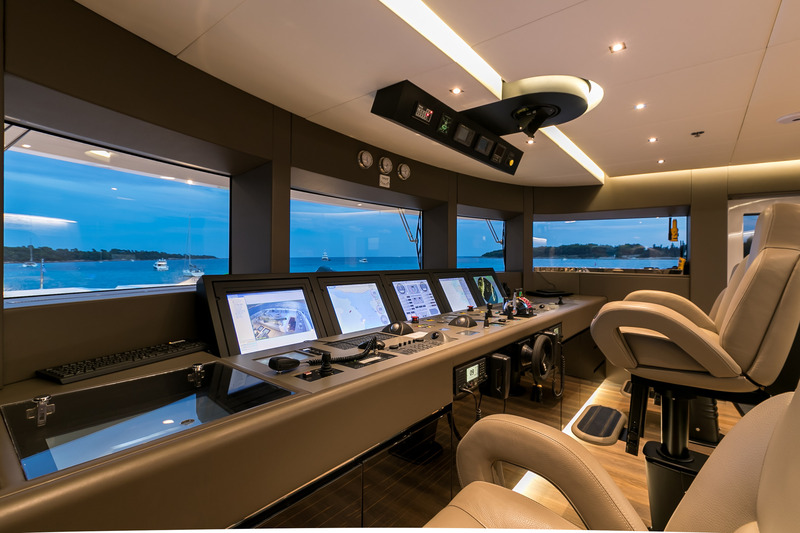 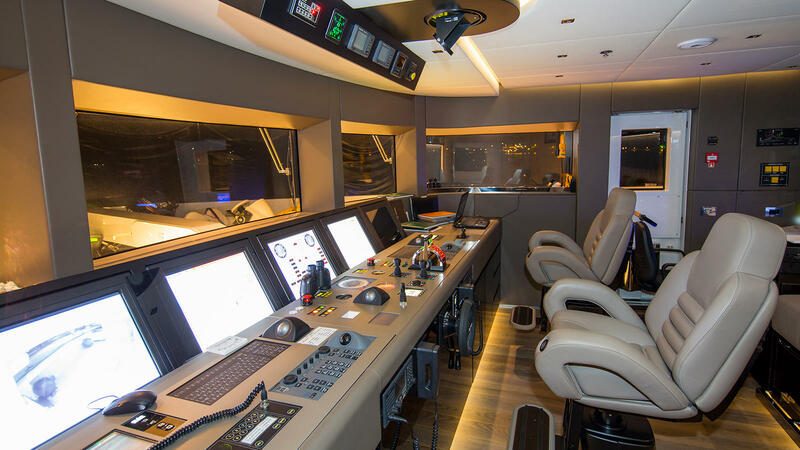 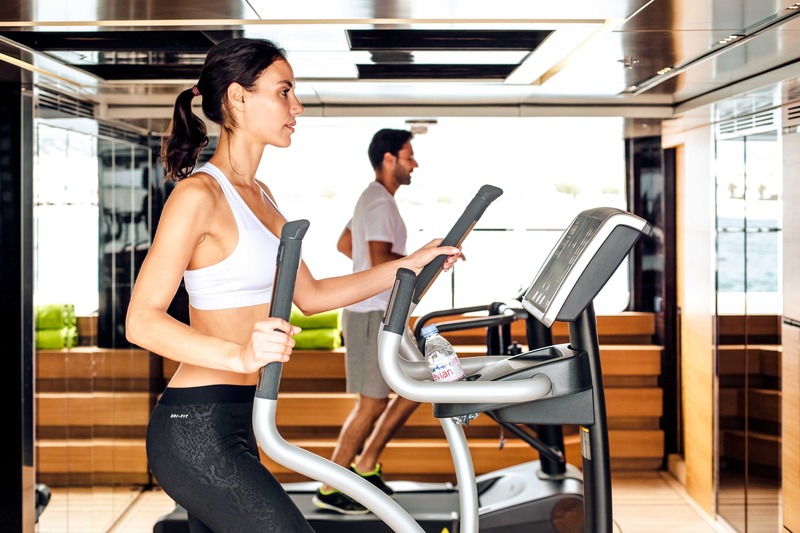 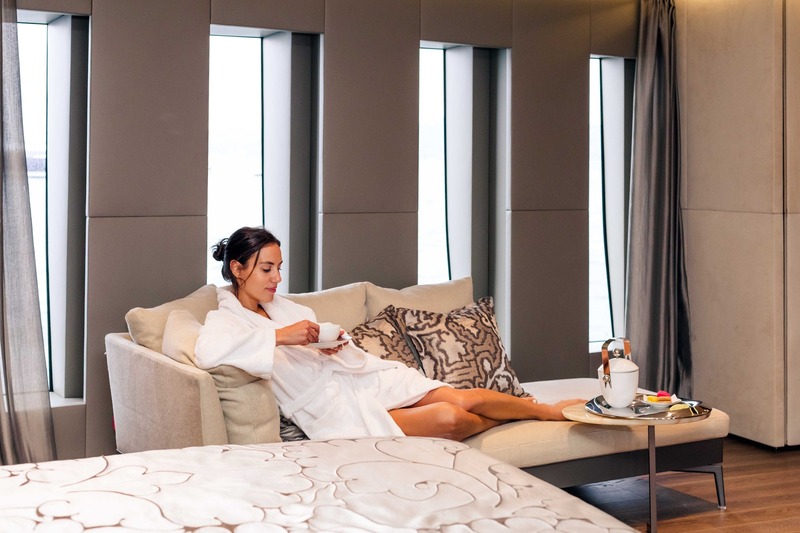 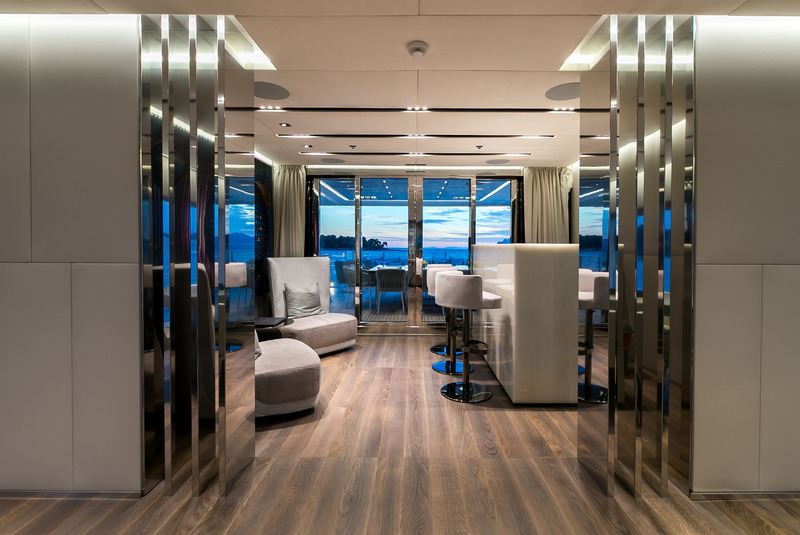 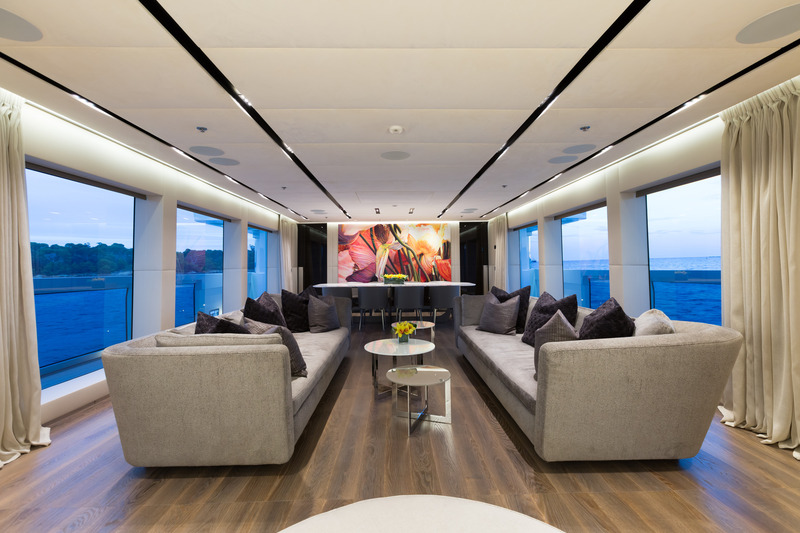 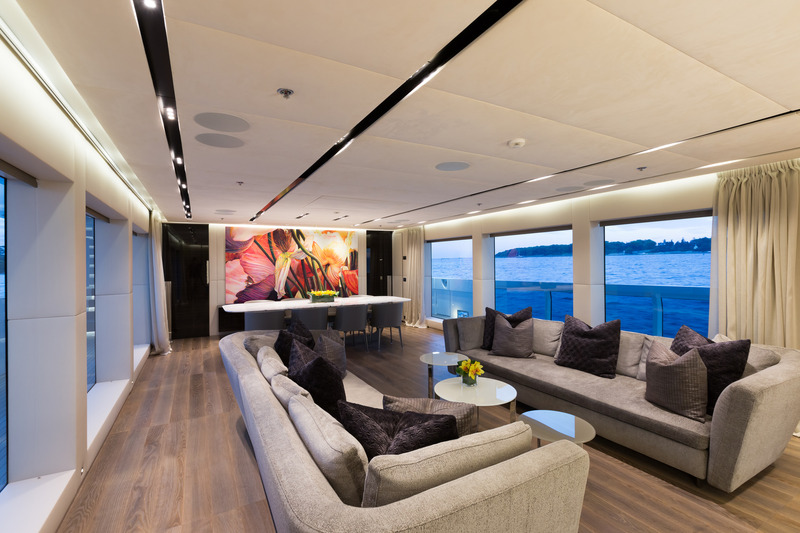 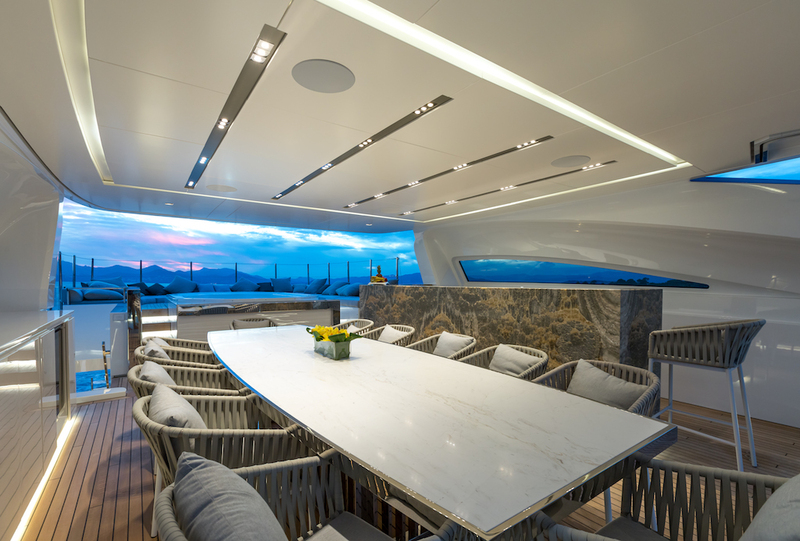 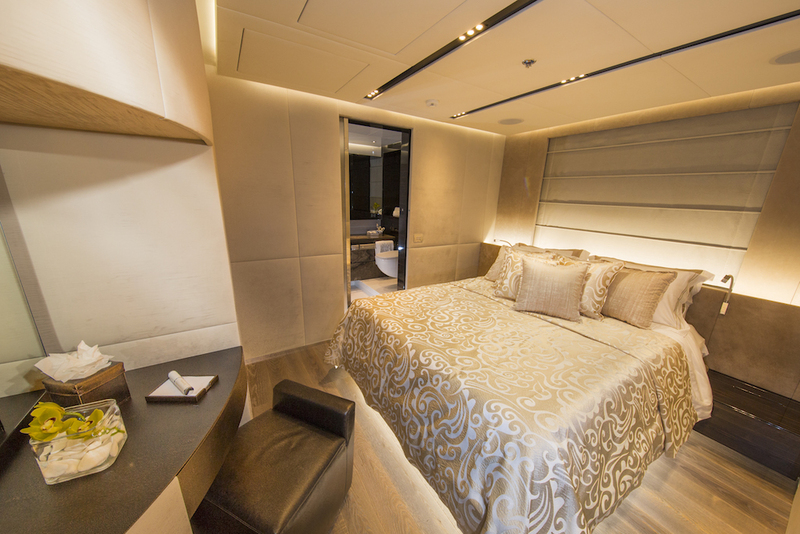 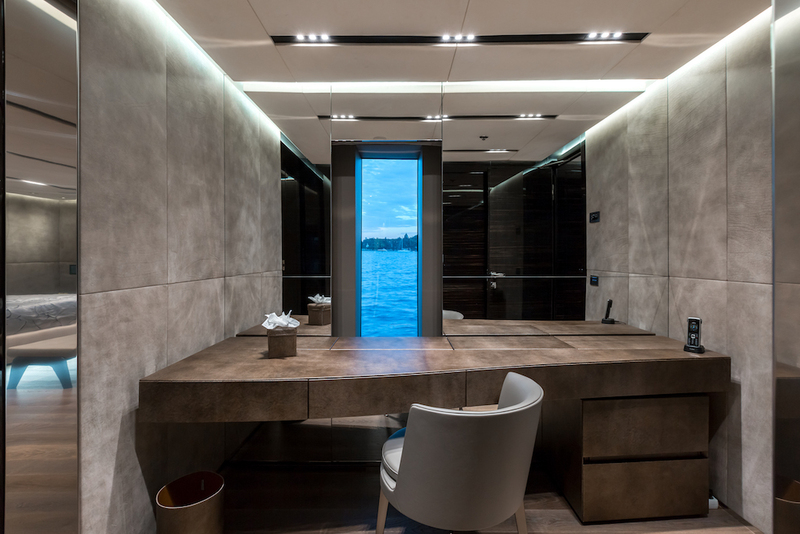 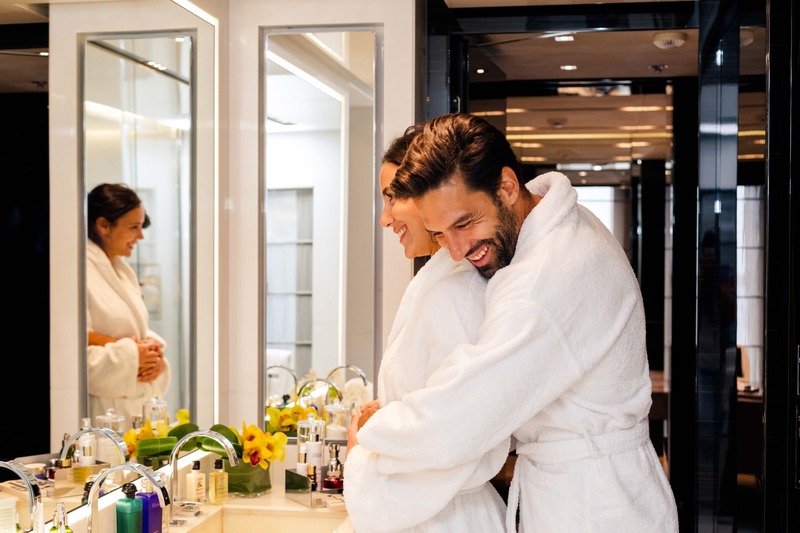 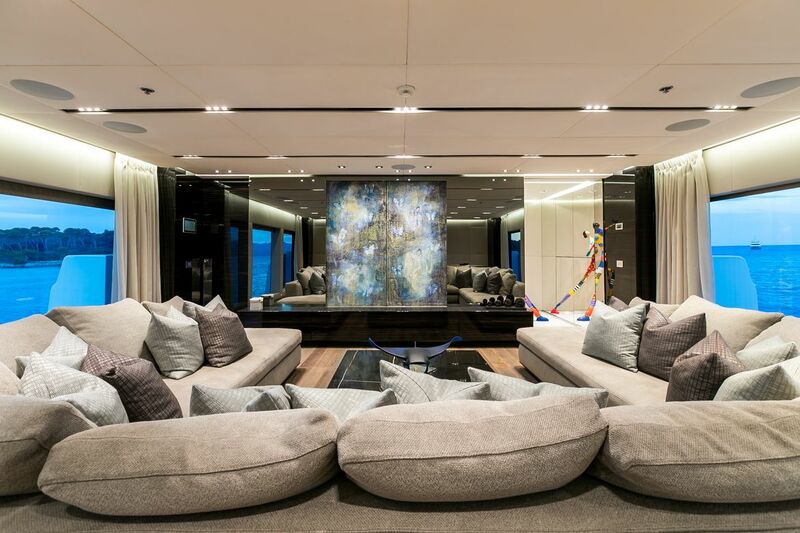 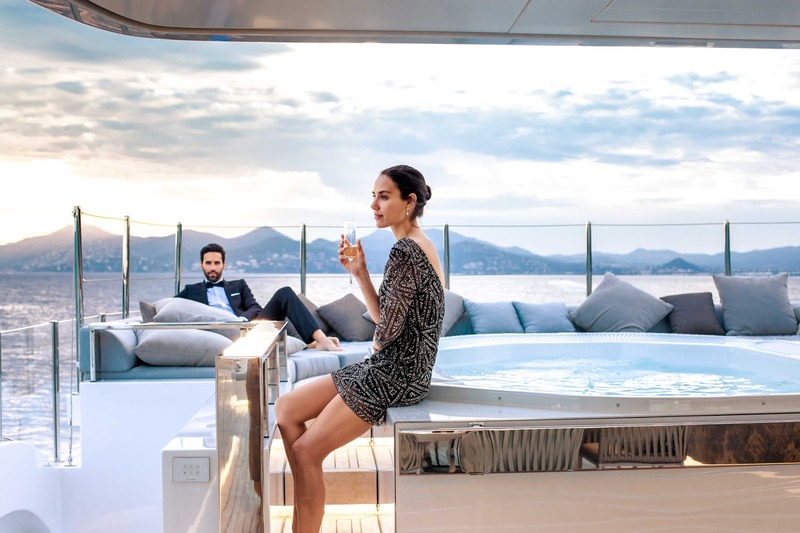 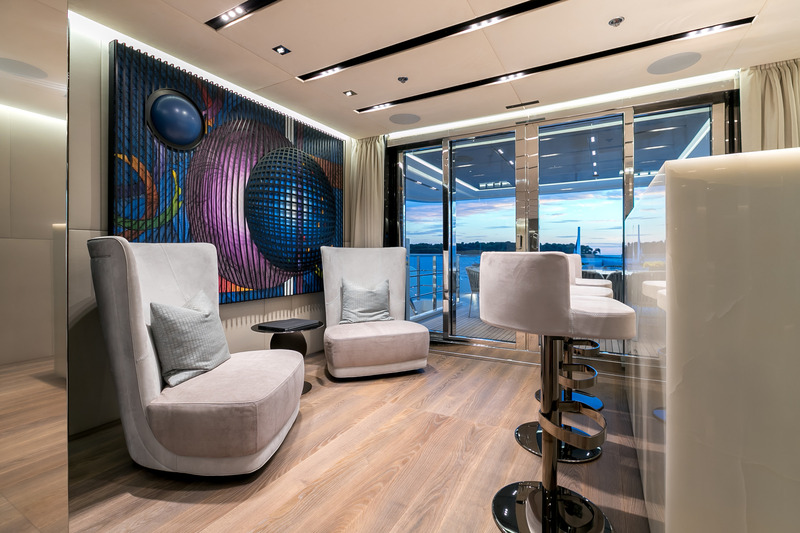 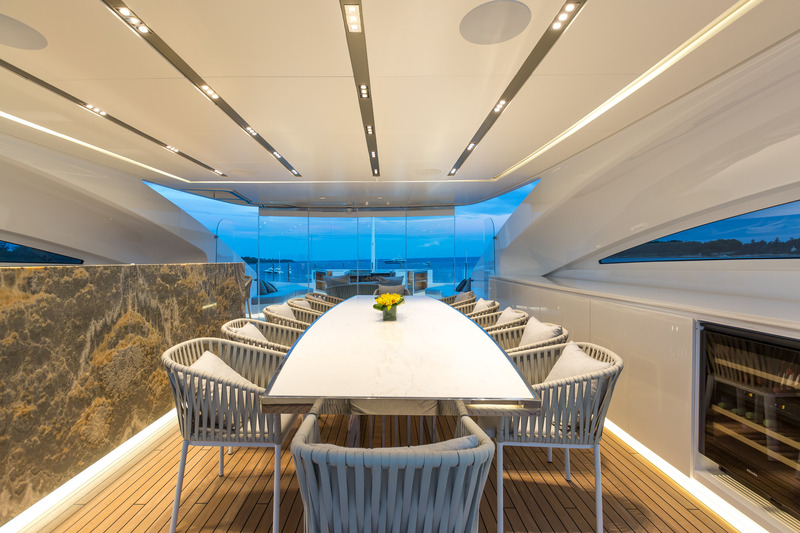 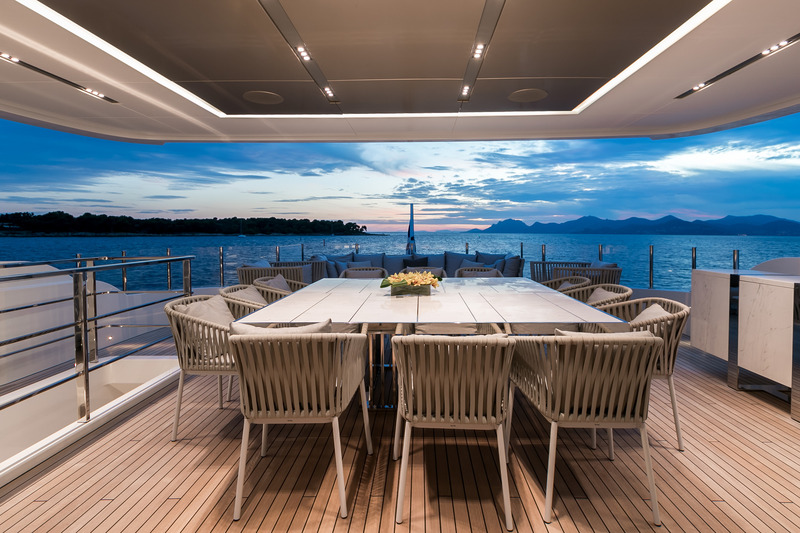 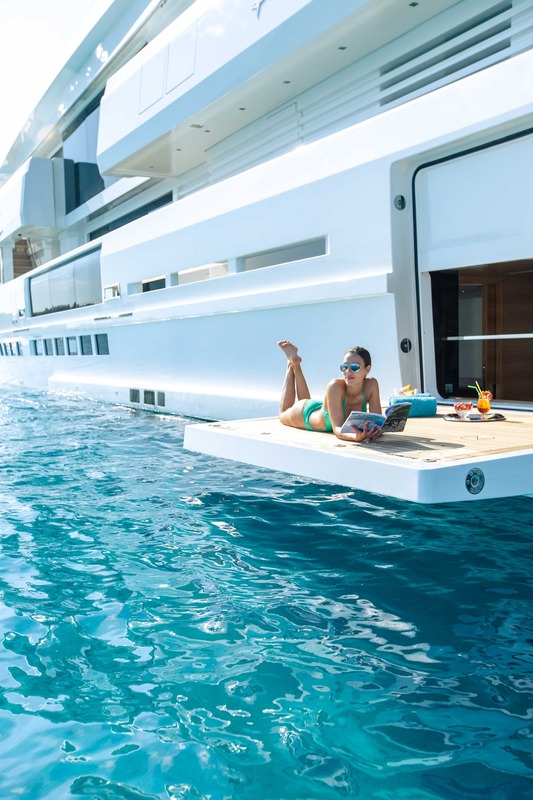 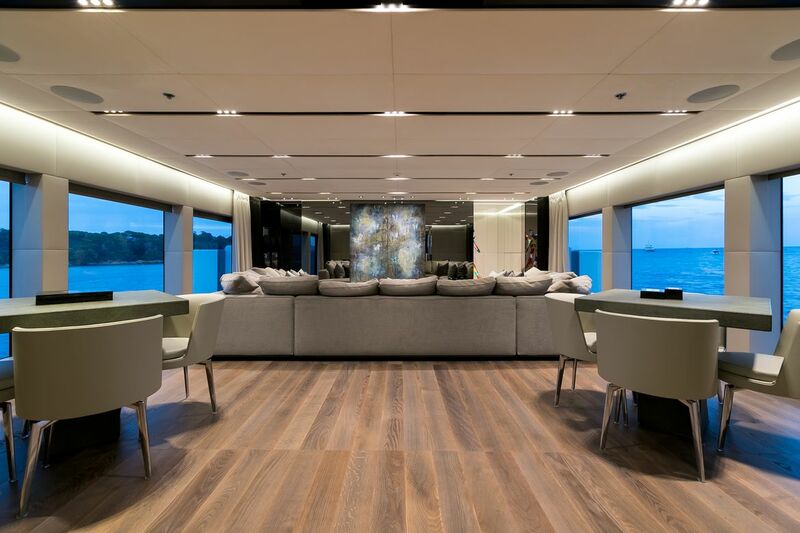 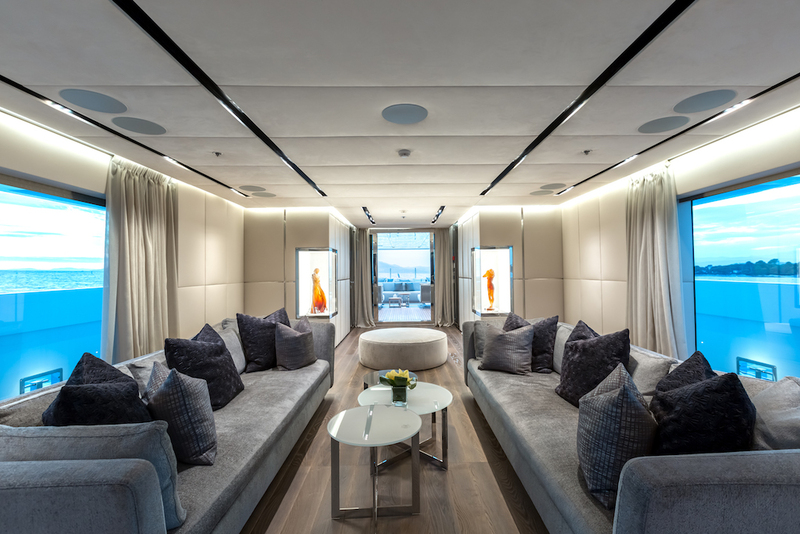 The master cabin is located on the main deck forward of the salon and spreads the entire beam of the yacht, and includes a large private study. 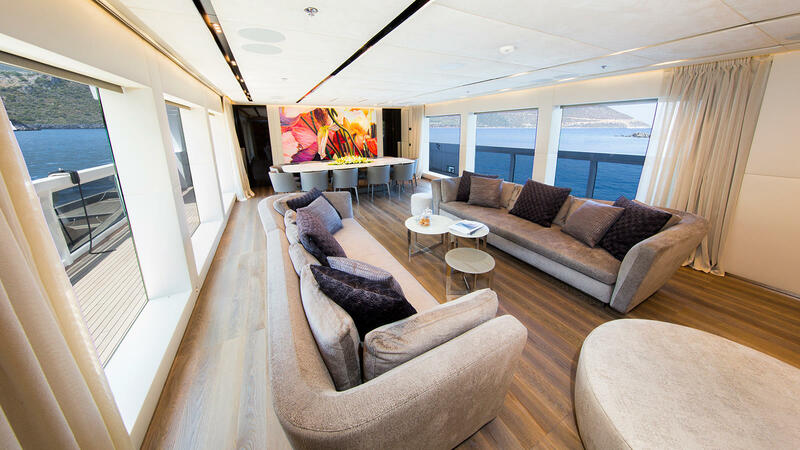 On the lower deck, there are 3 generous double cabins and 2 spacious twin cabins. 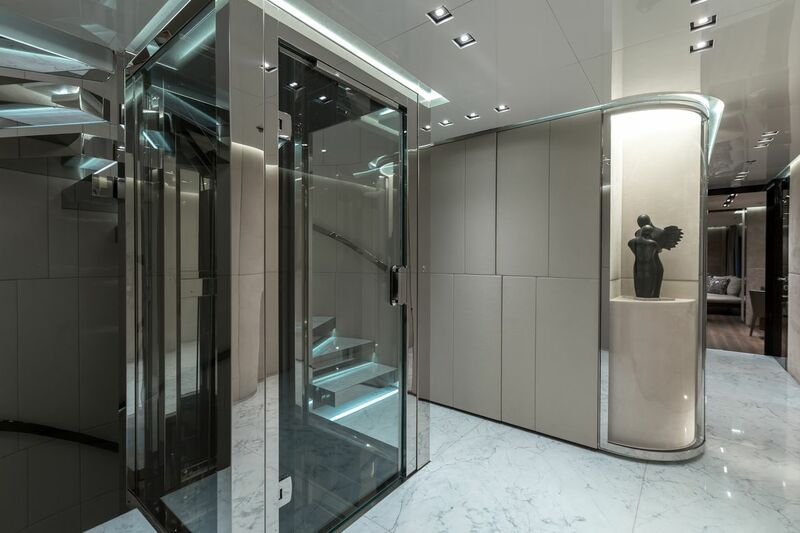 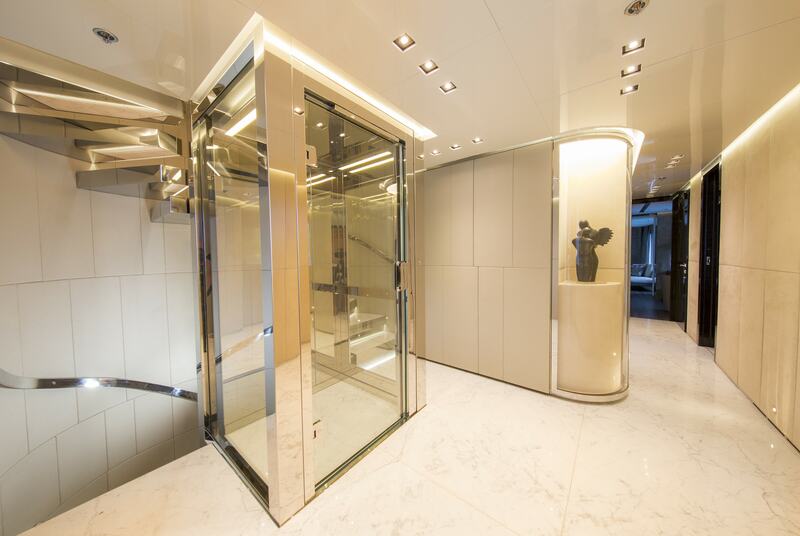 An elevator is ideal for getting from the lower guest areas to the upper salon.